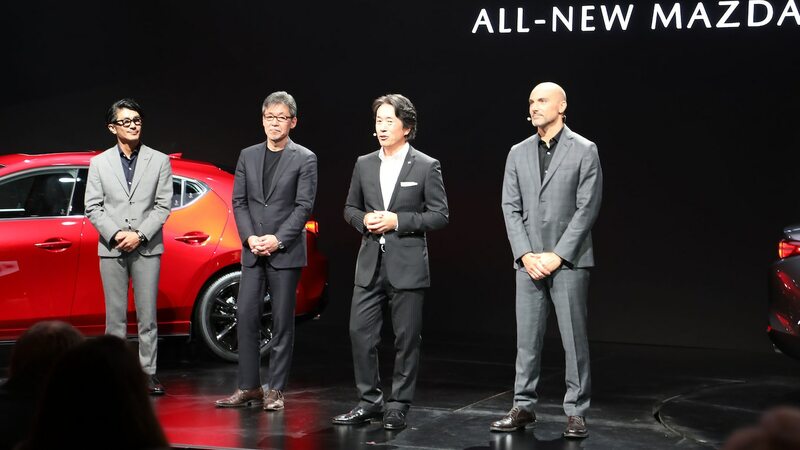 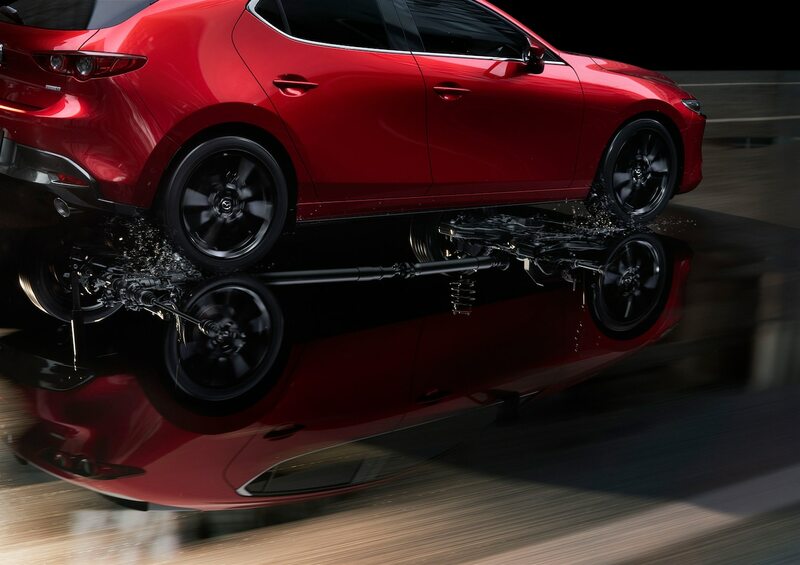 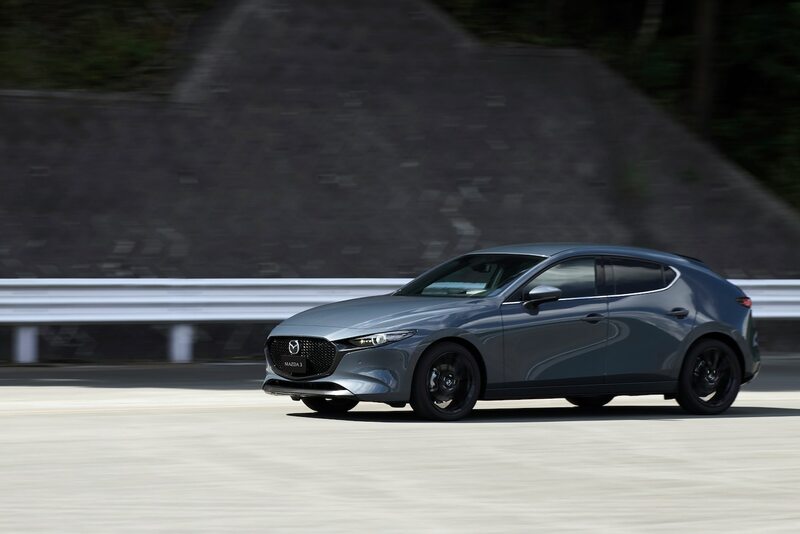 The 2019 Mazda3 introduces the next evolution of the brand’s Kodo design language, and future designs will emphasize cleanness, according to Mazda’s Yasutake Tsuchida. 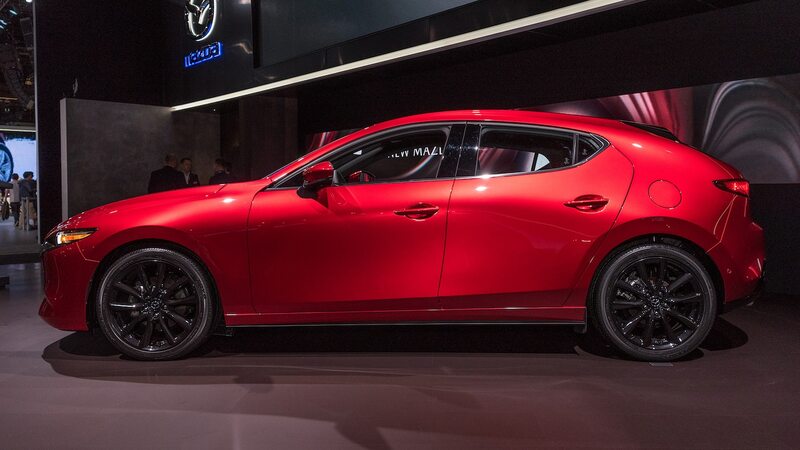 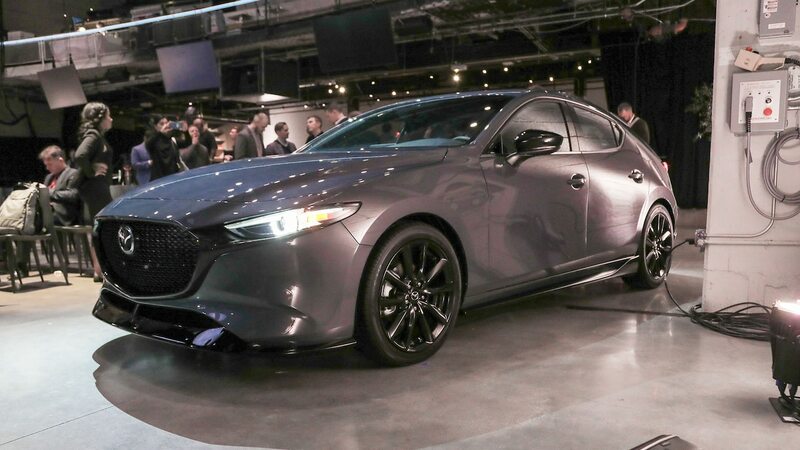 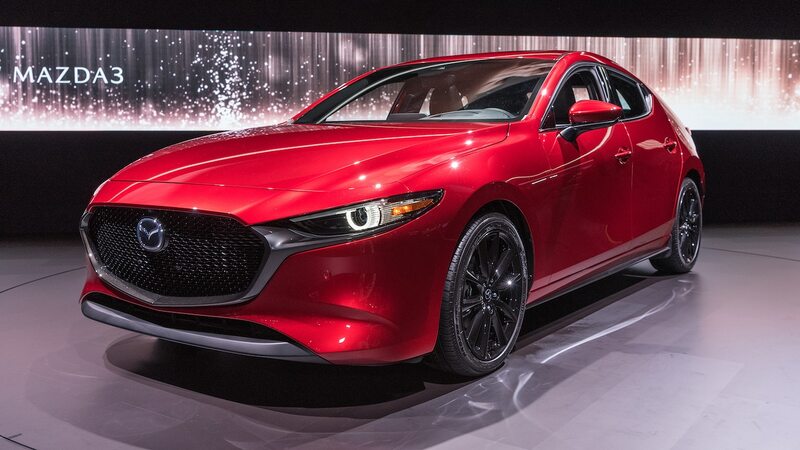 At the 2018 Los Angeles auto show, MotorTrend sat down with Tsuchida, the head designer of the 2019 Mazda3, to chat about how the next generation of Mazda vehicles will look. 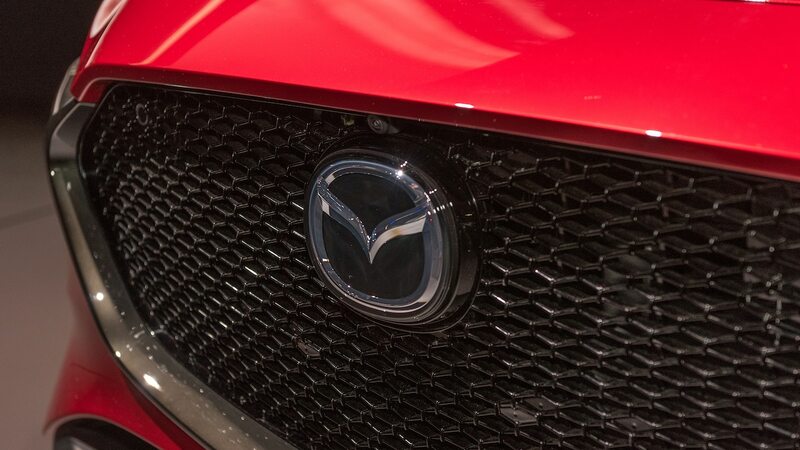 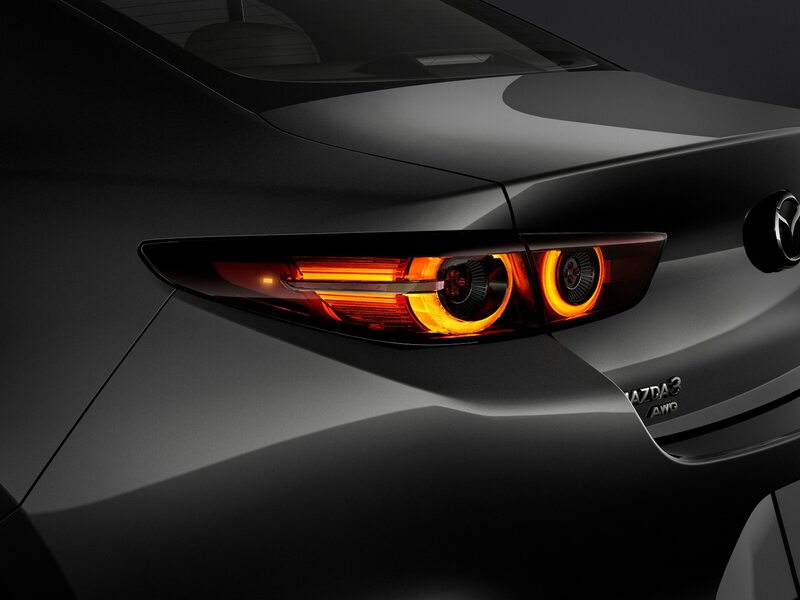 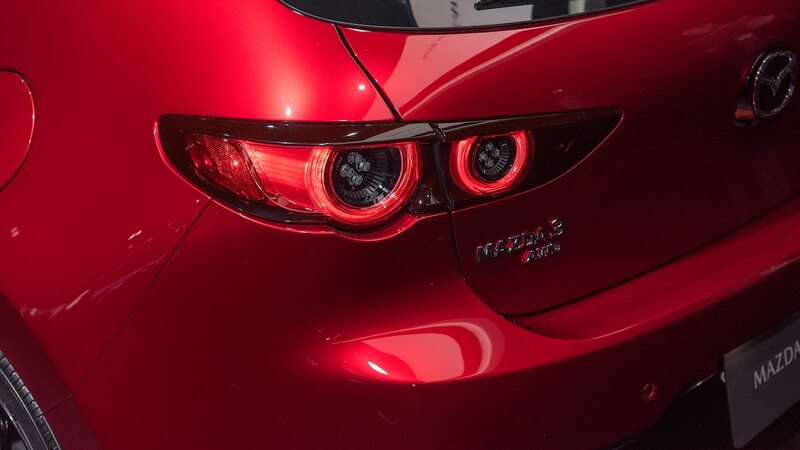 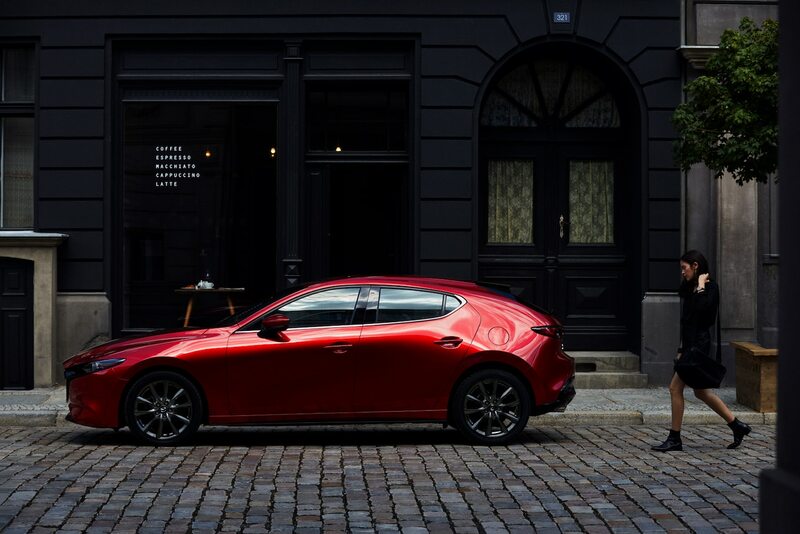 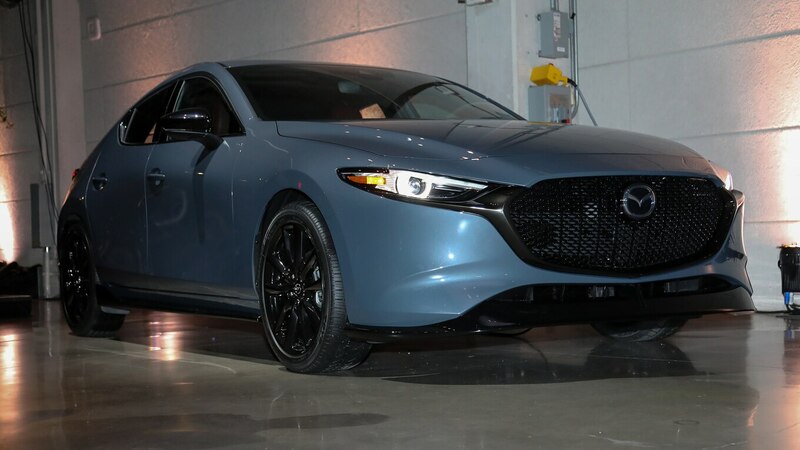 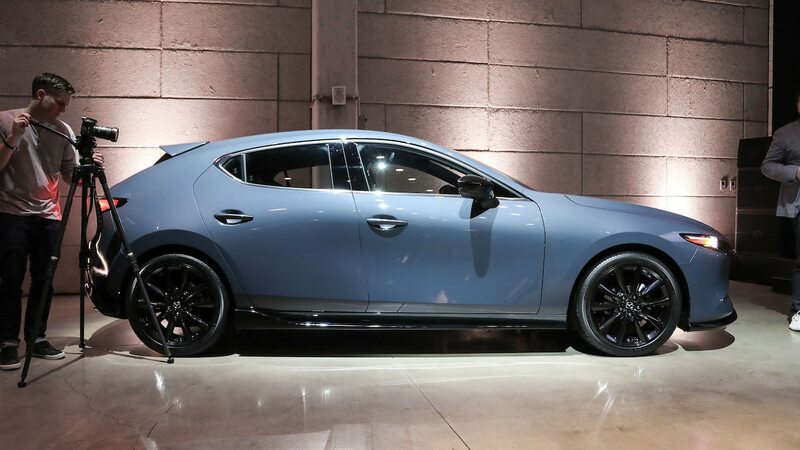 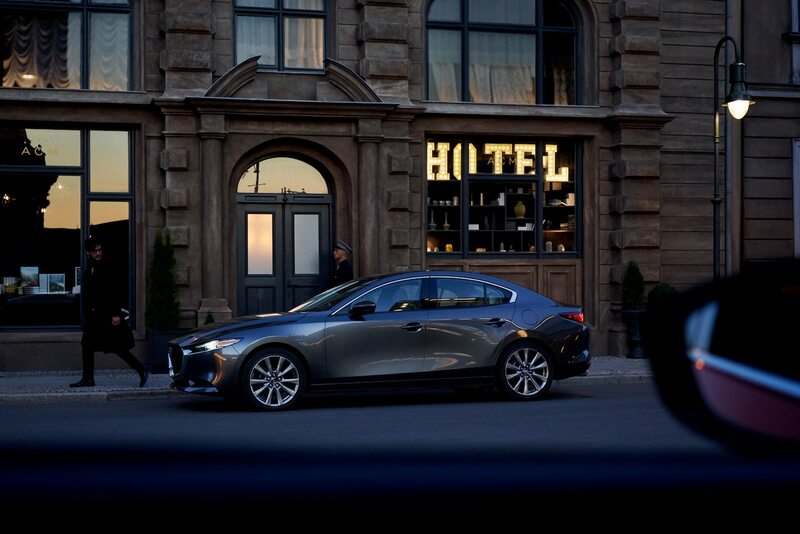 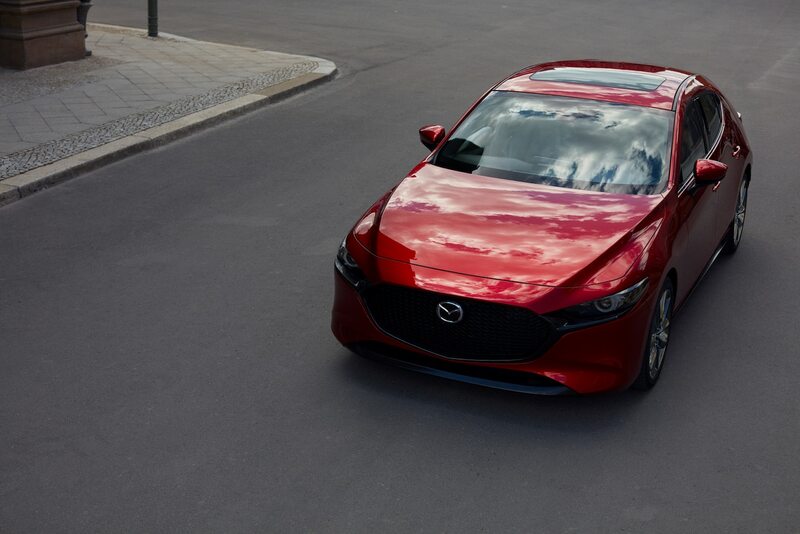 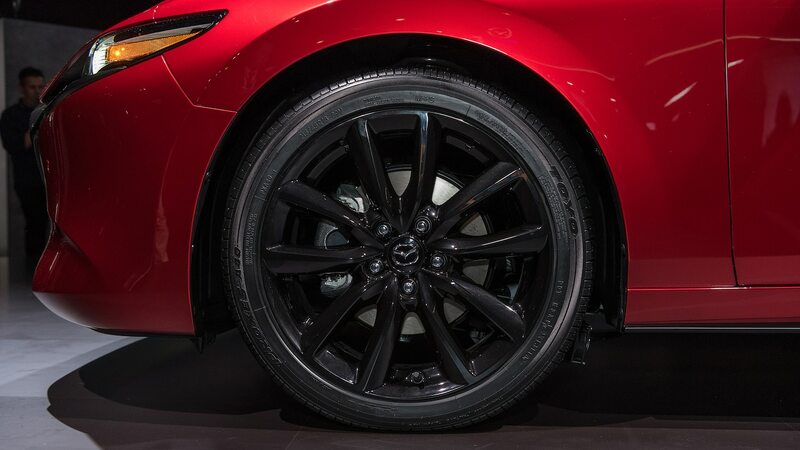 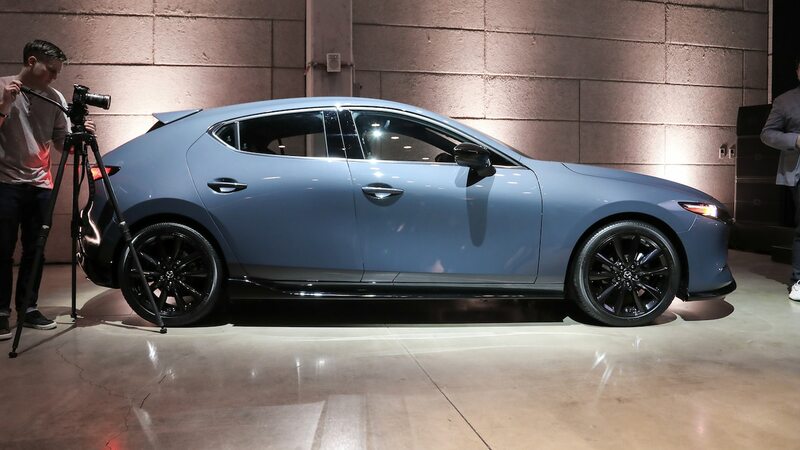 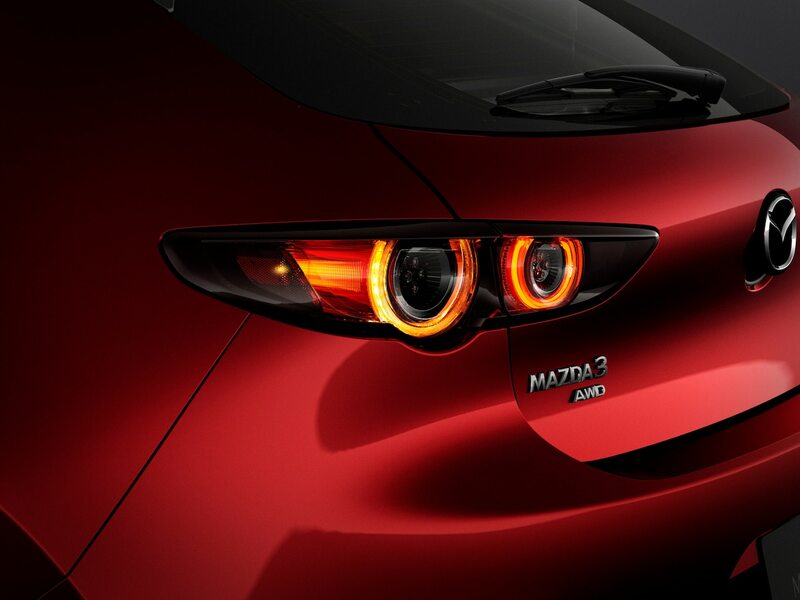 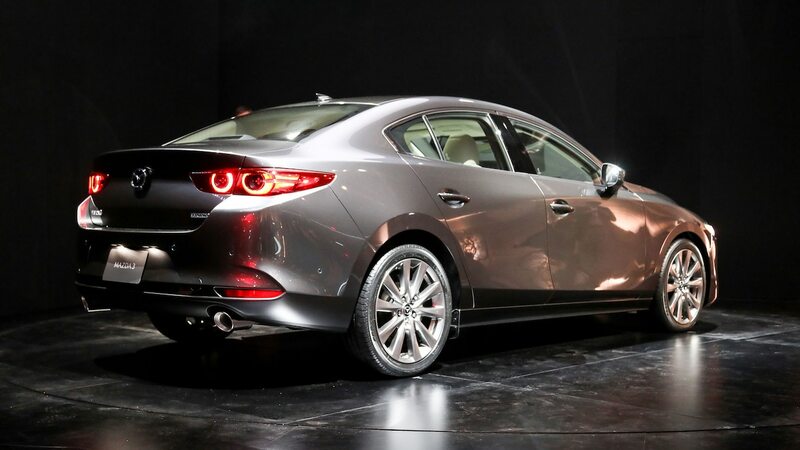 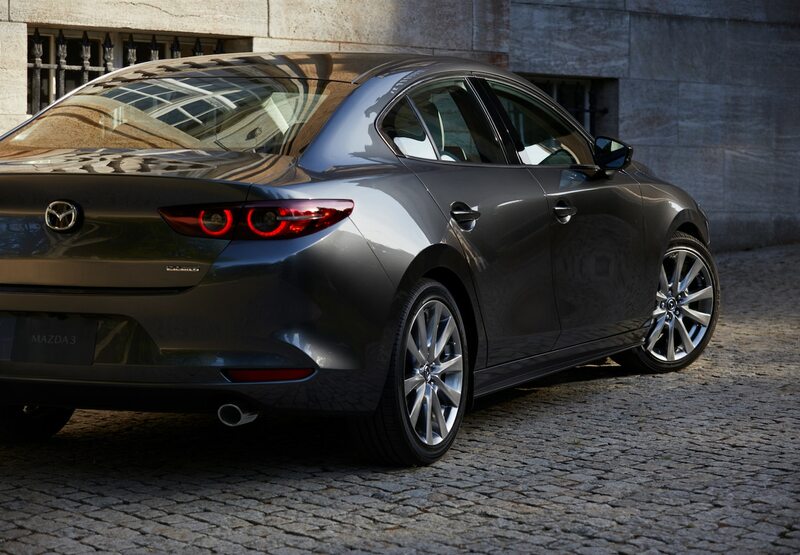 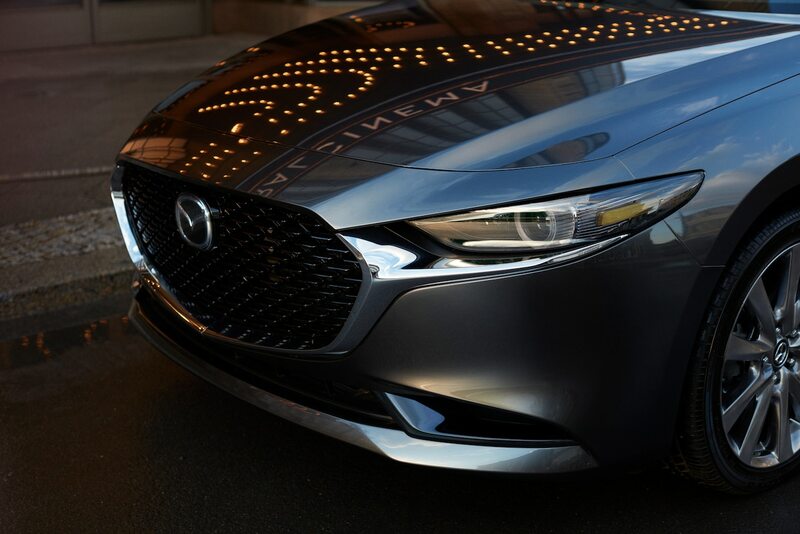 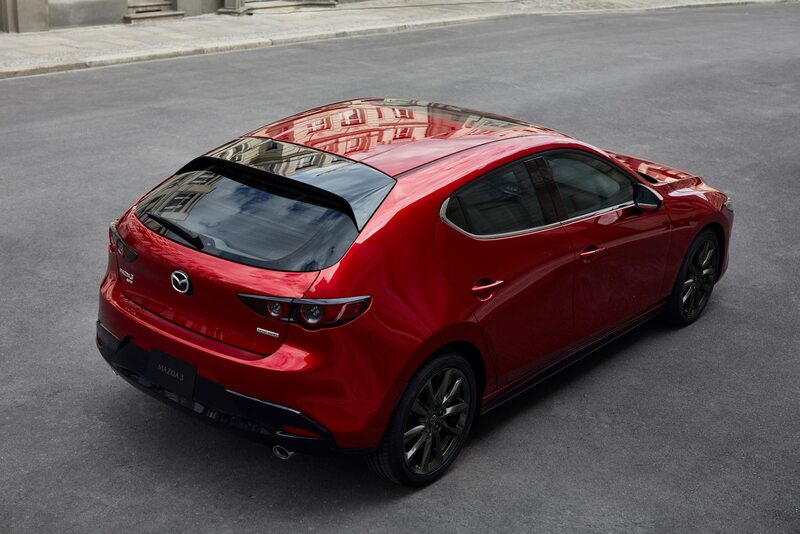 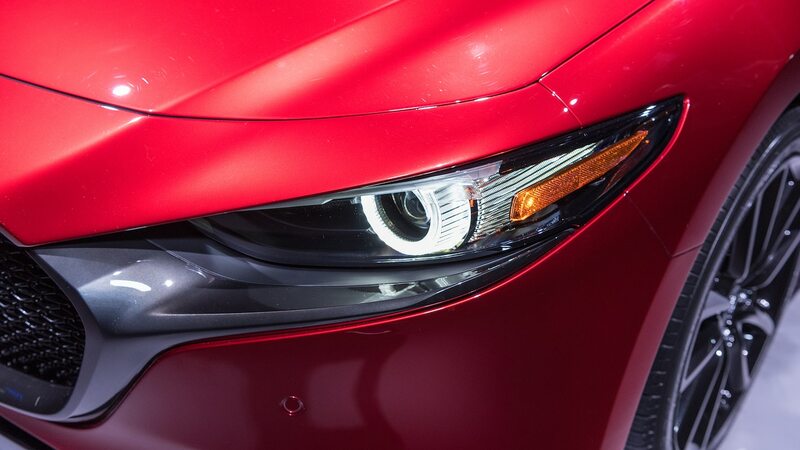 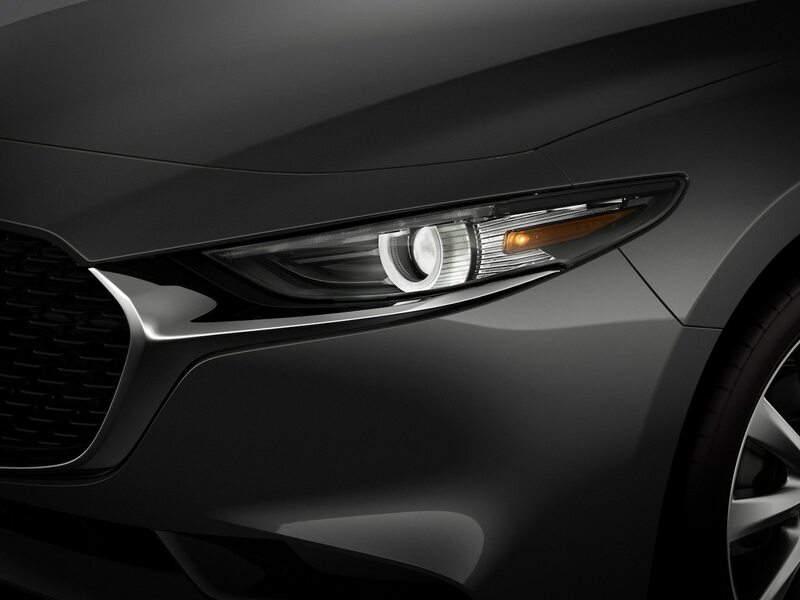 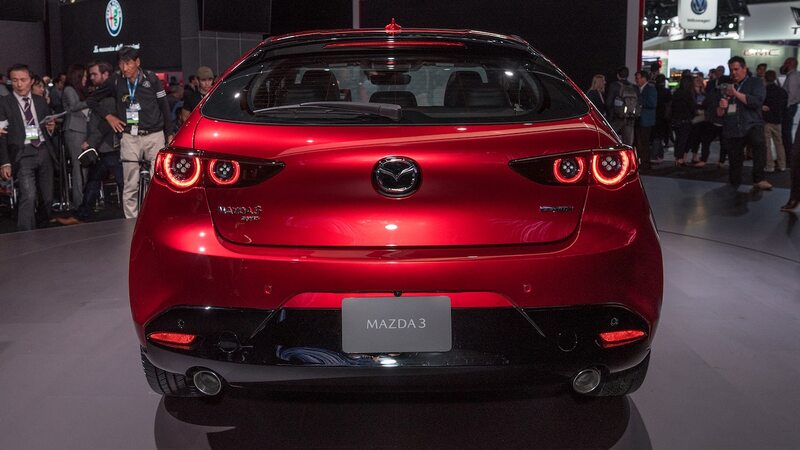 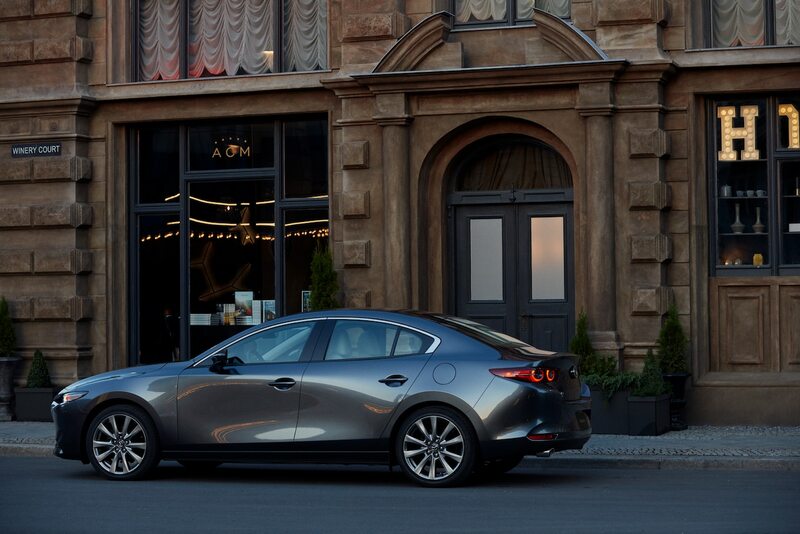 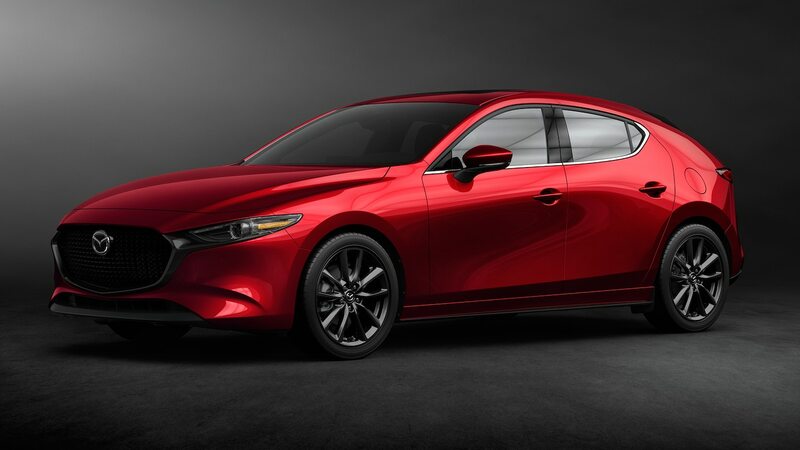 When you look at the 2019 Mazda3, you’ll immediately notice the lack of lines on the side profile. 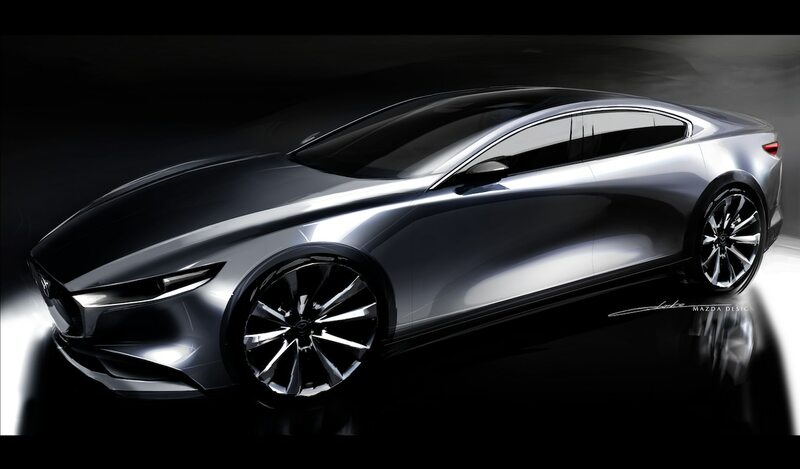 Tsuchida-san says that this is the result of a concept they call deduction, which means minimizing character lines and using light reflections to create separation. 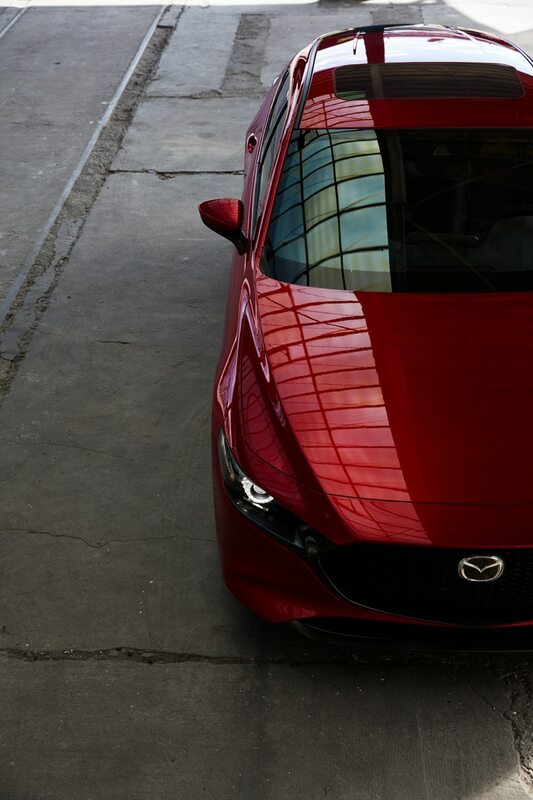 The interplay between light and shadow generates interesting hues, particularly on vehicles painted in Soul Red Crystal and Machine Gray. 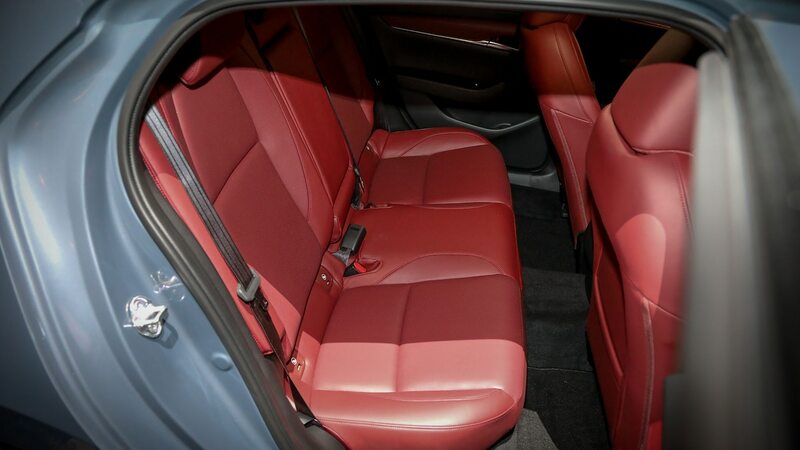 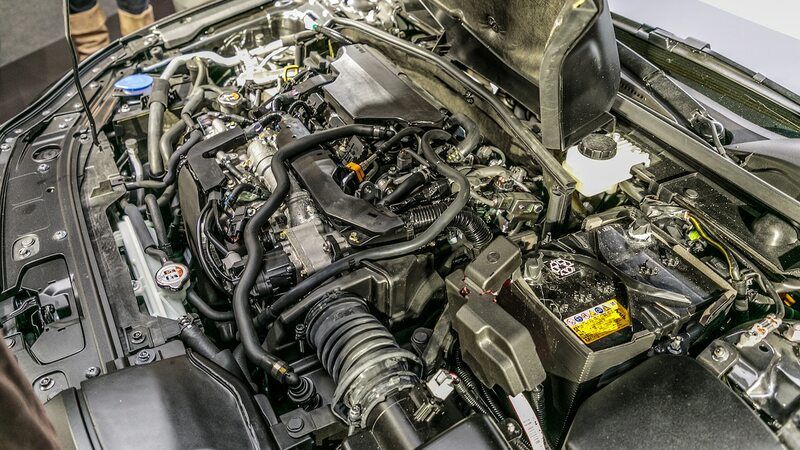 This is most evident in the hatchback, which lacks the “shoulders” found near the wheel wells. 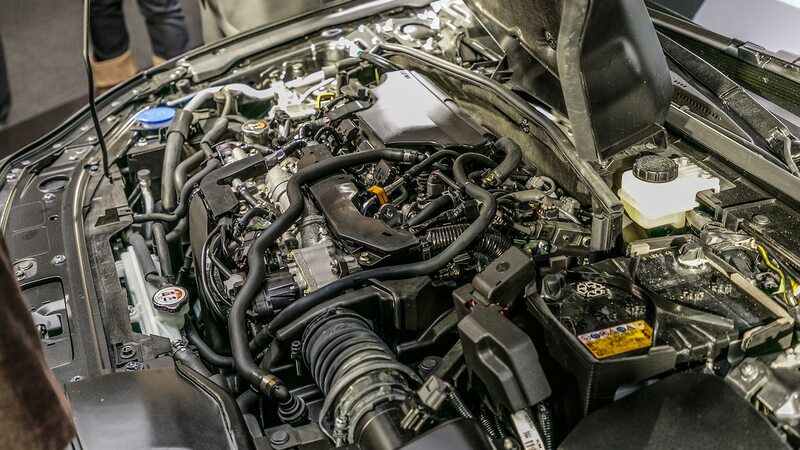 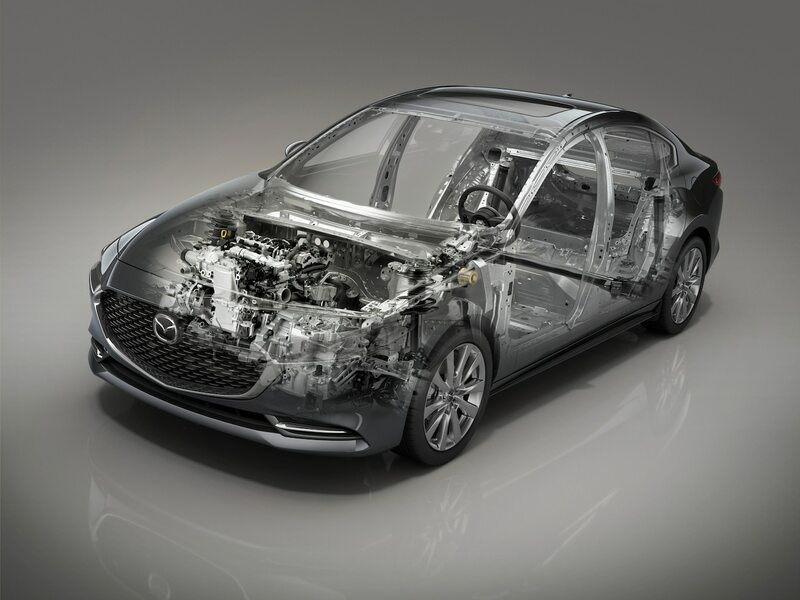 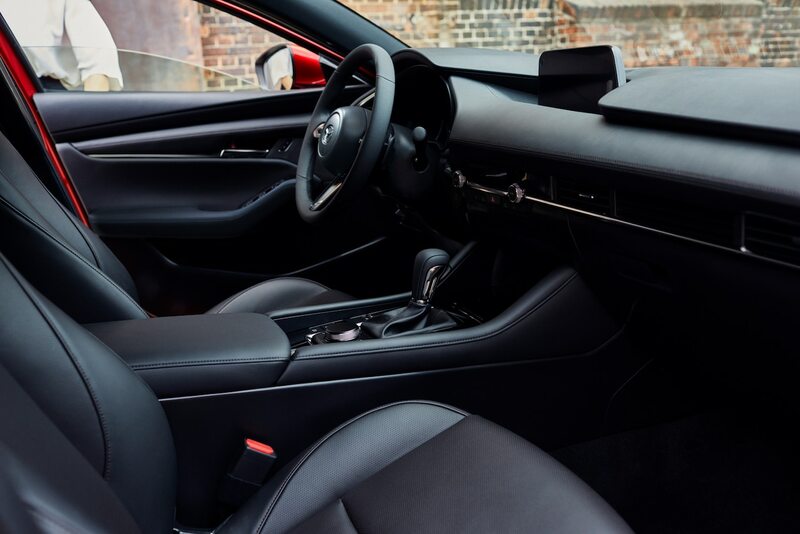 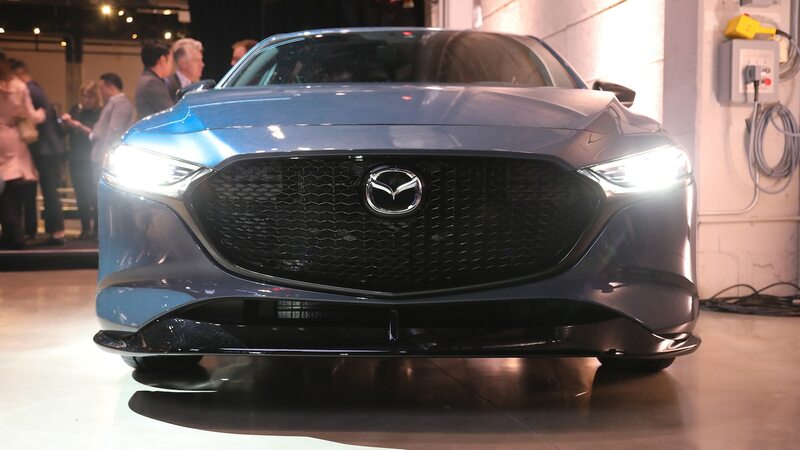 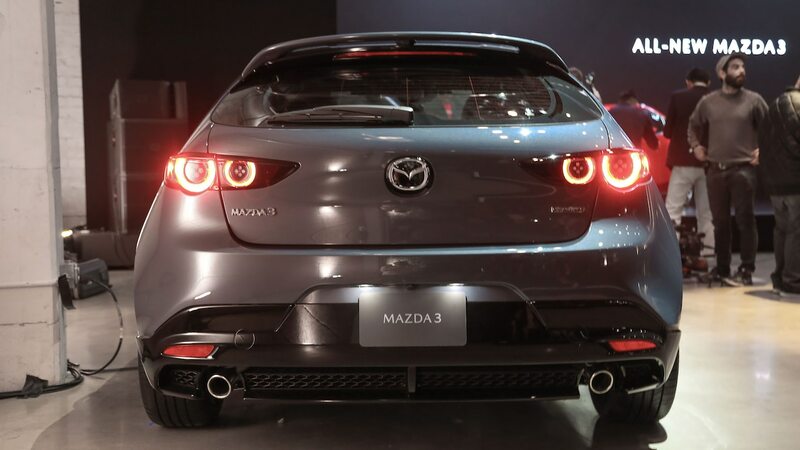 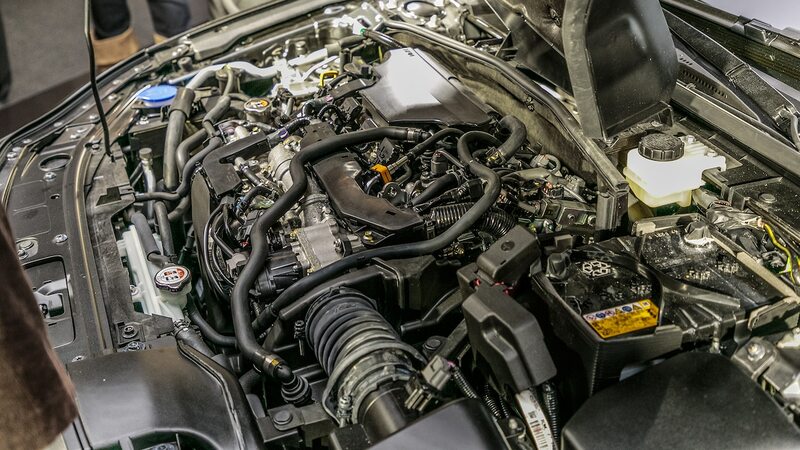 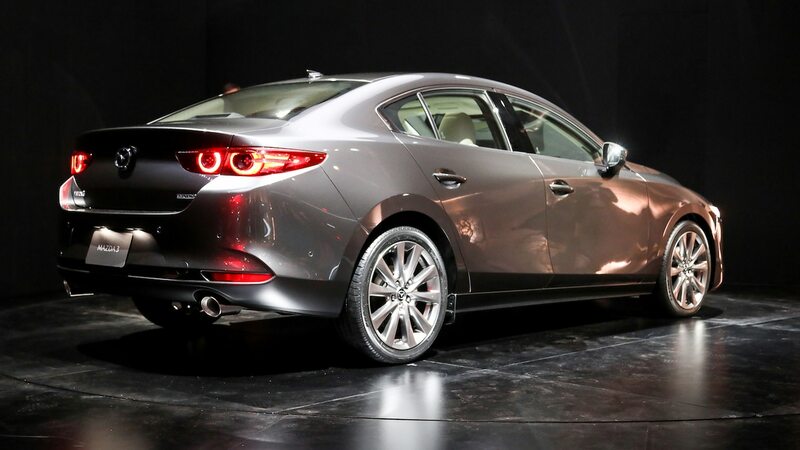 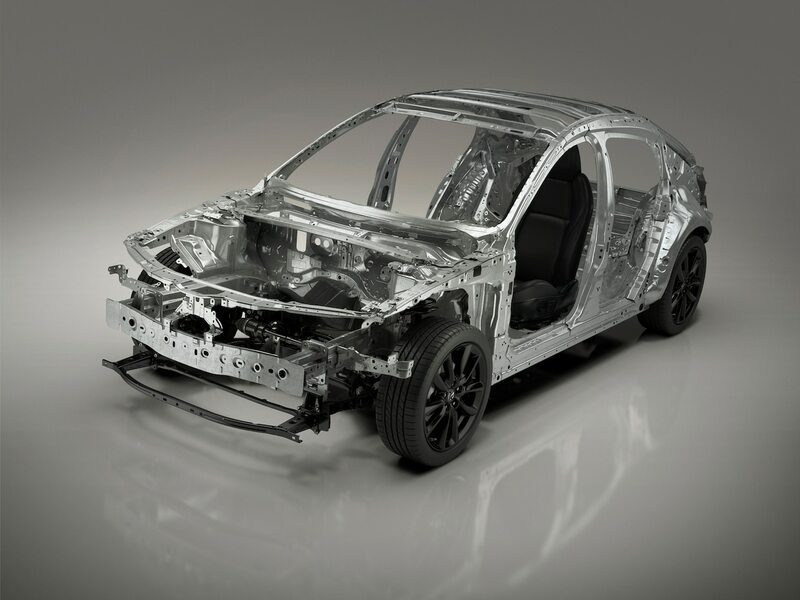 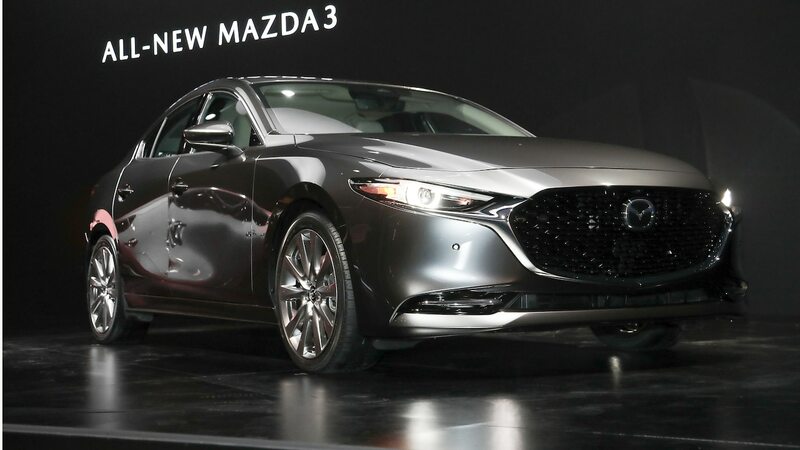 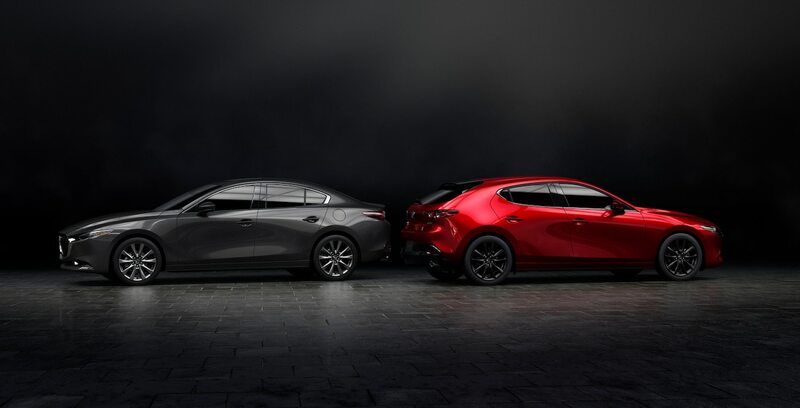 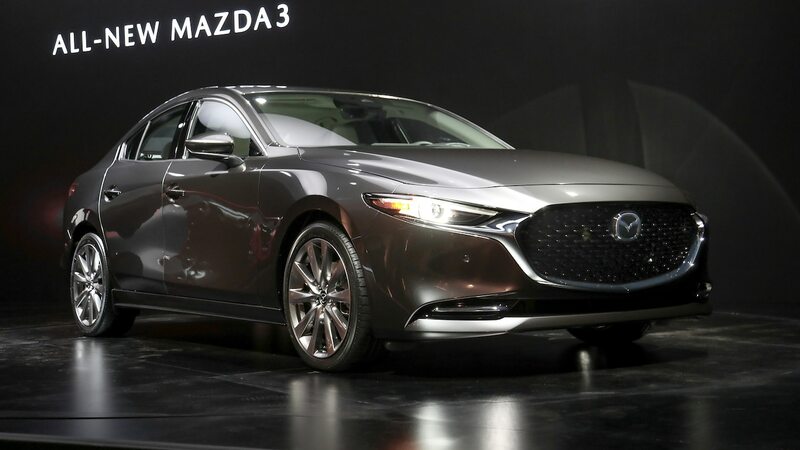 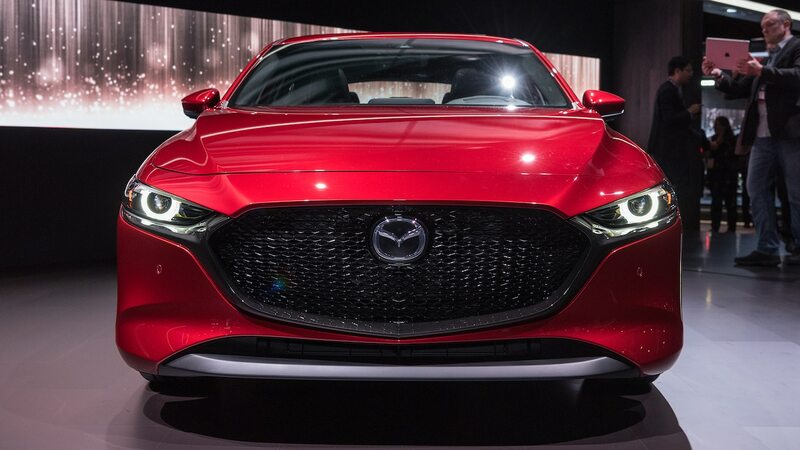 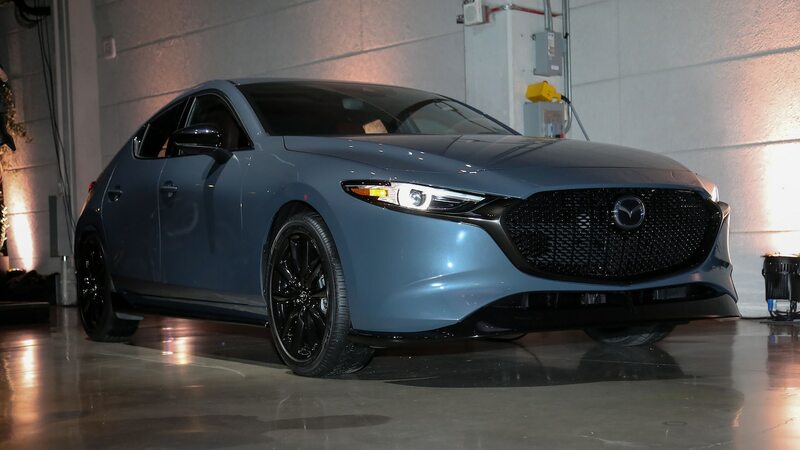 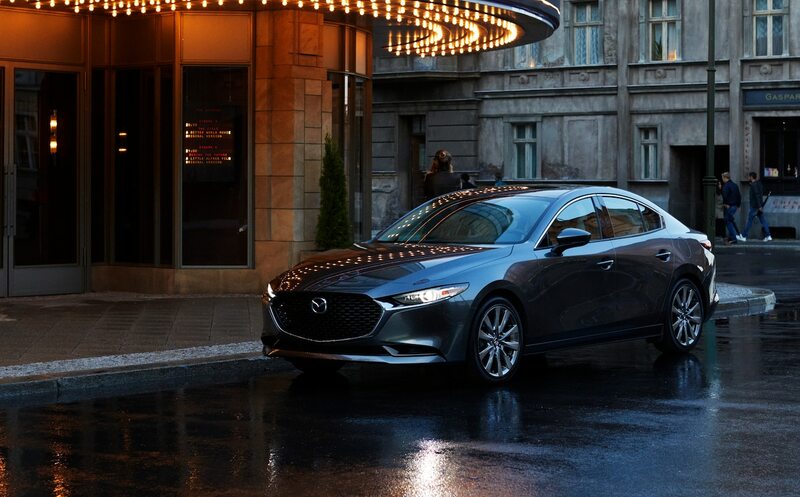 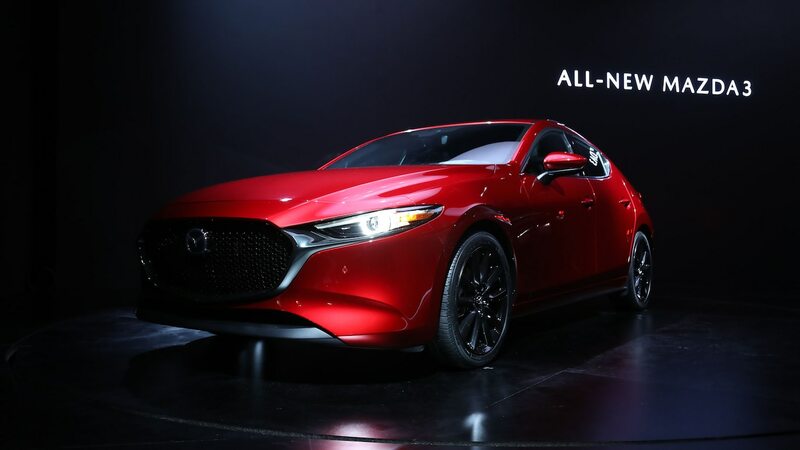 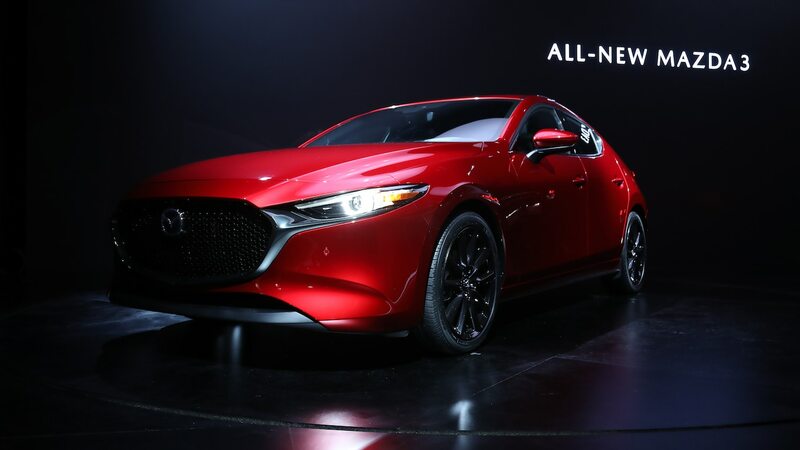 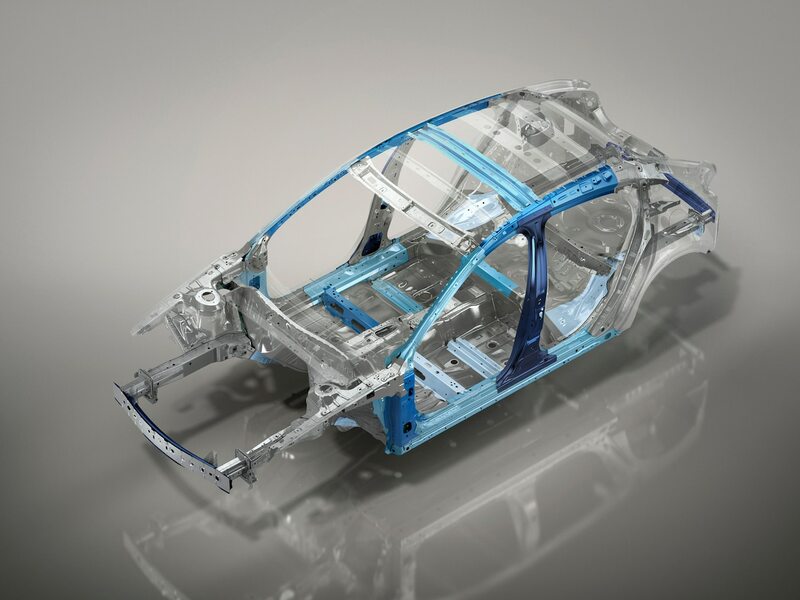 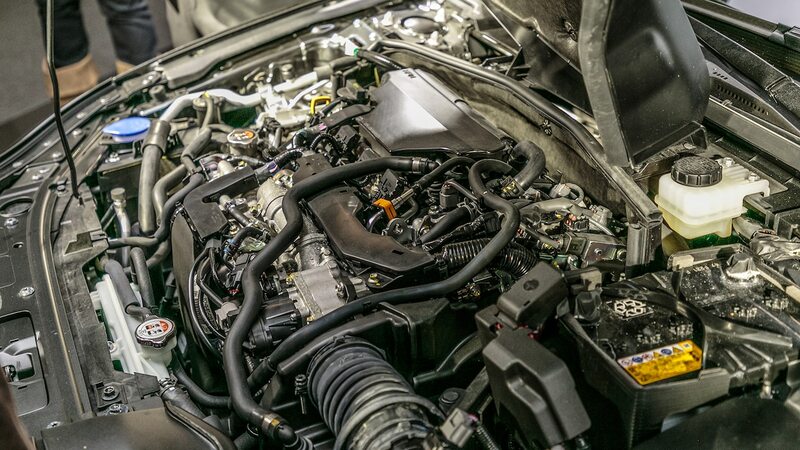 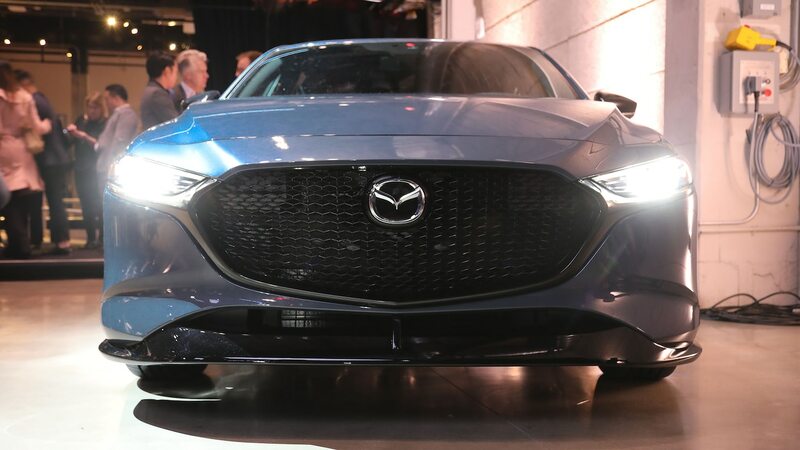 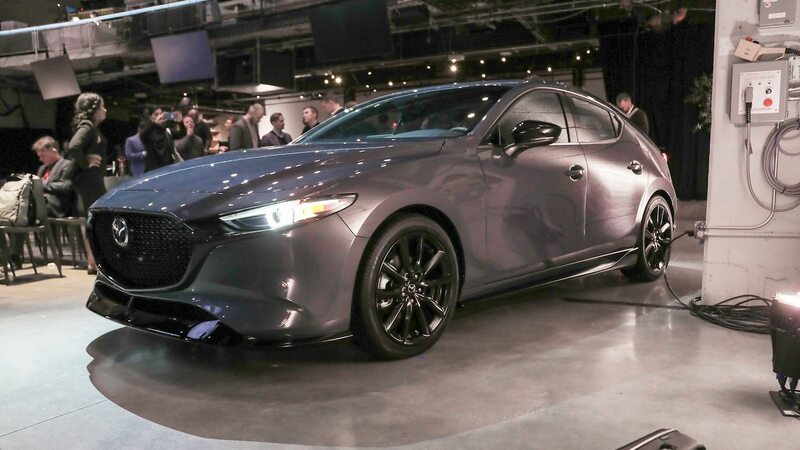 Buyers were the driving force in creating two distinct variants of the 2019 Mazda3, and Tsuchida-san revealed that the front end is the only common part between the hatchback and sedan. 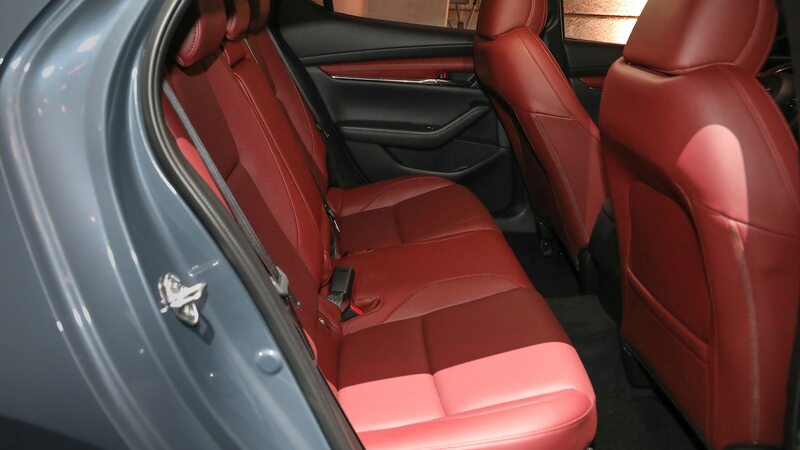 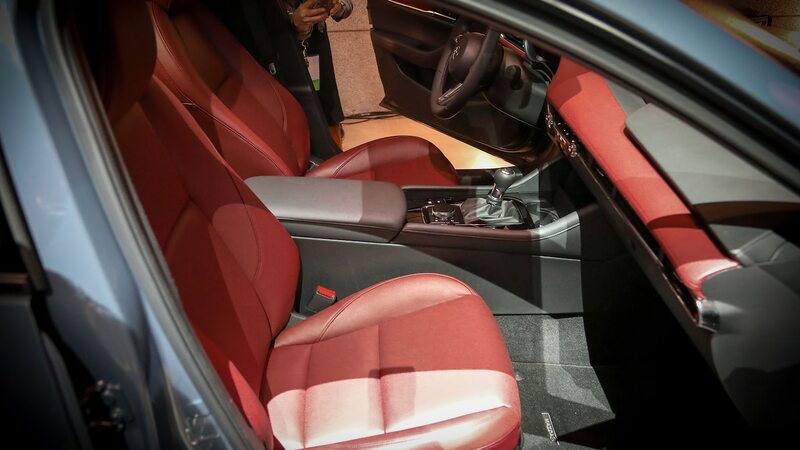 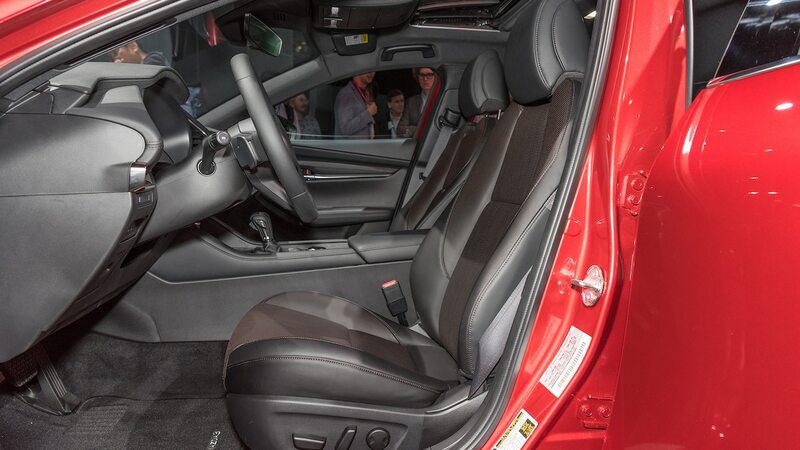 From the A-pillar back, each body style has its own theme with the sedan focusing on a more upscale look. 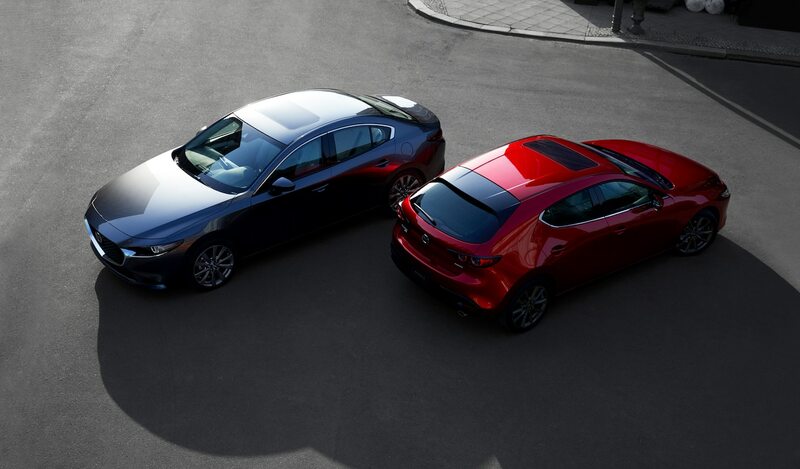 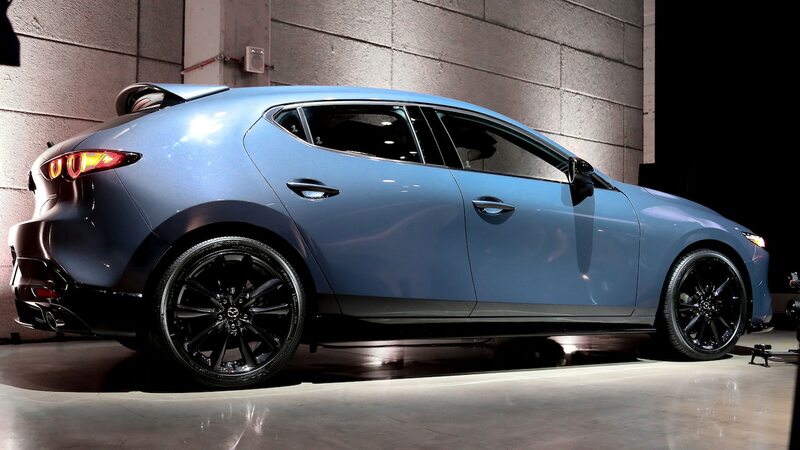 The hatchback, on the other hand, was designed to stand out. 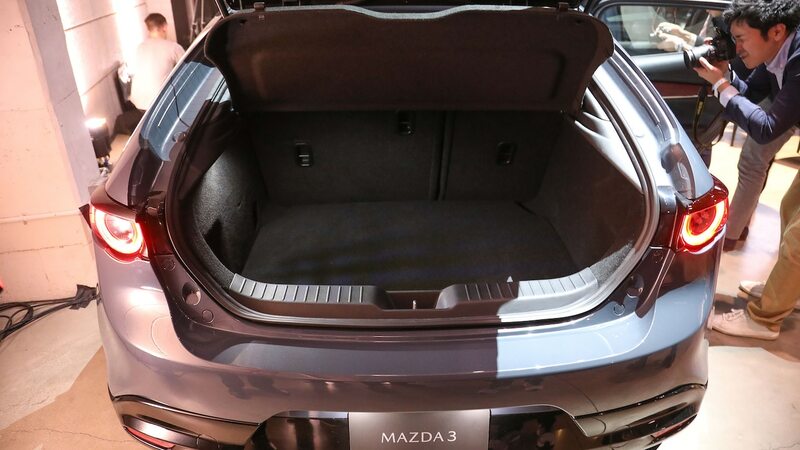 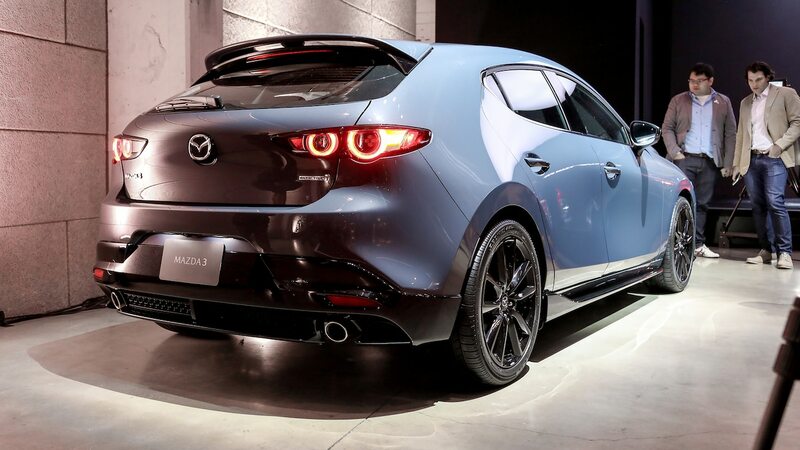 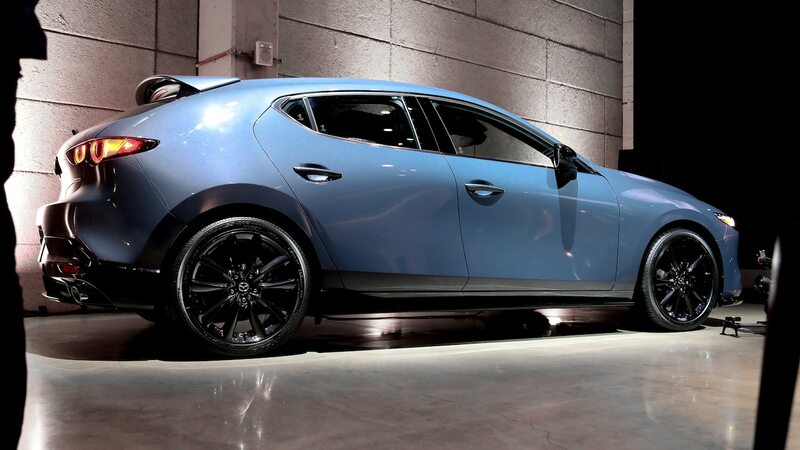 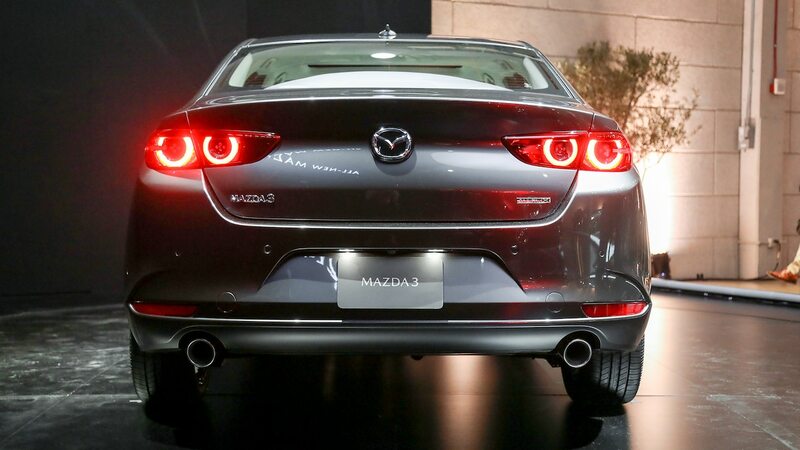 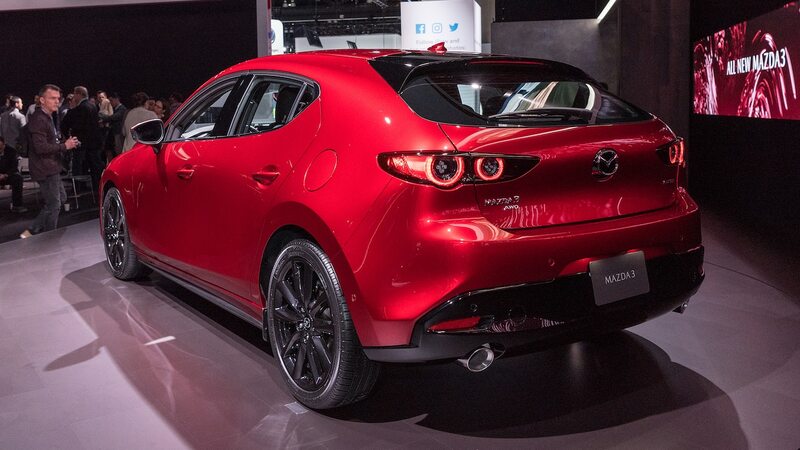 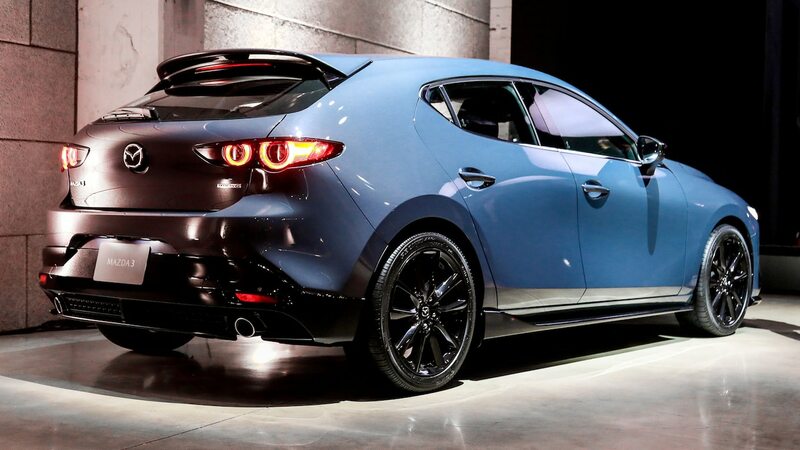 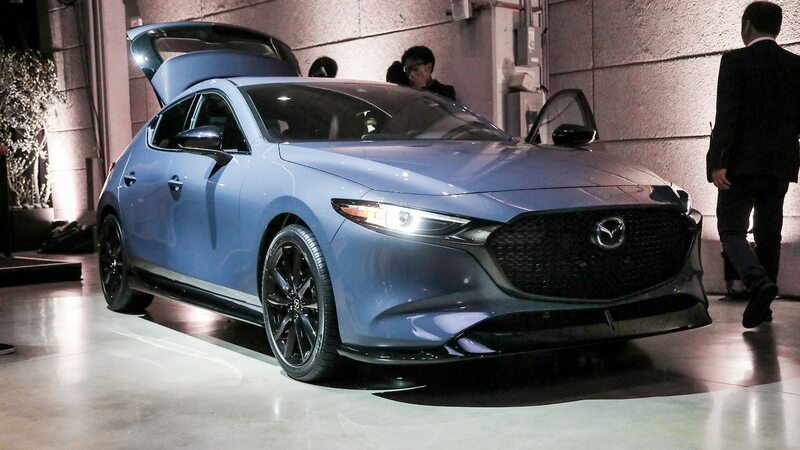 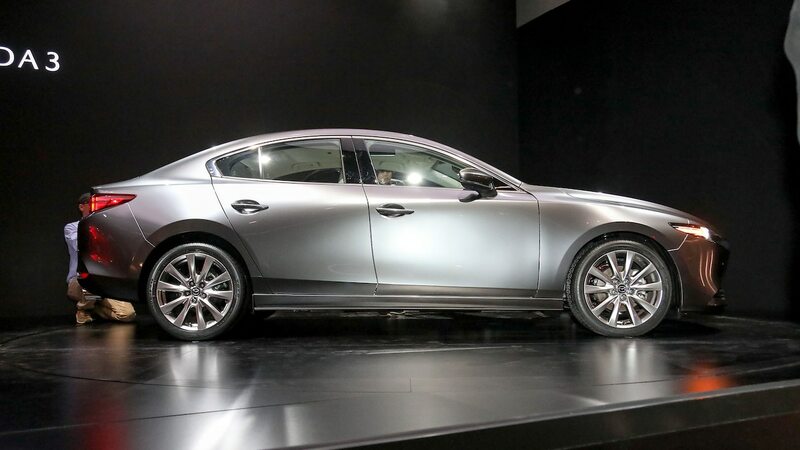 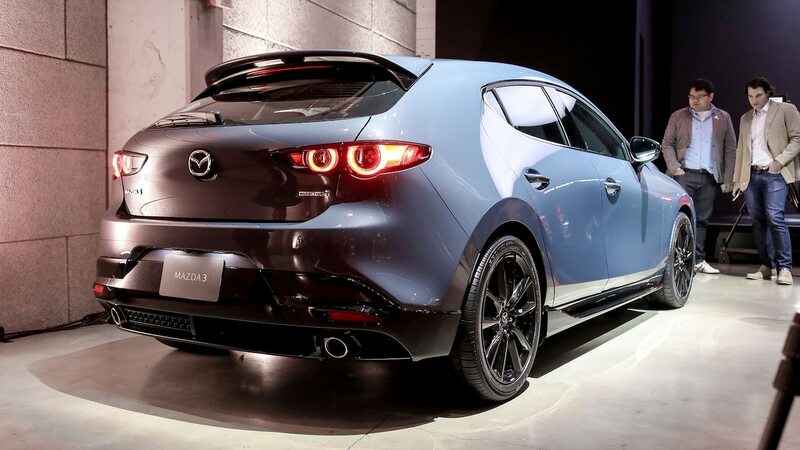 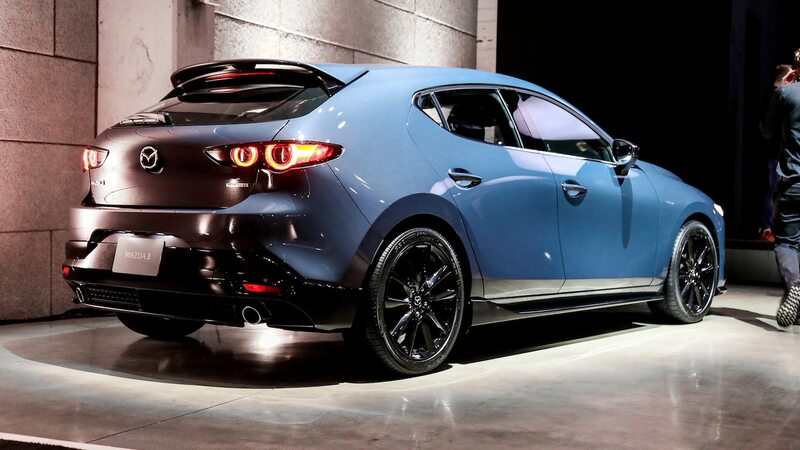 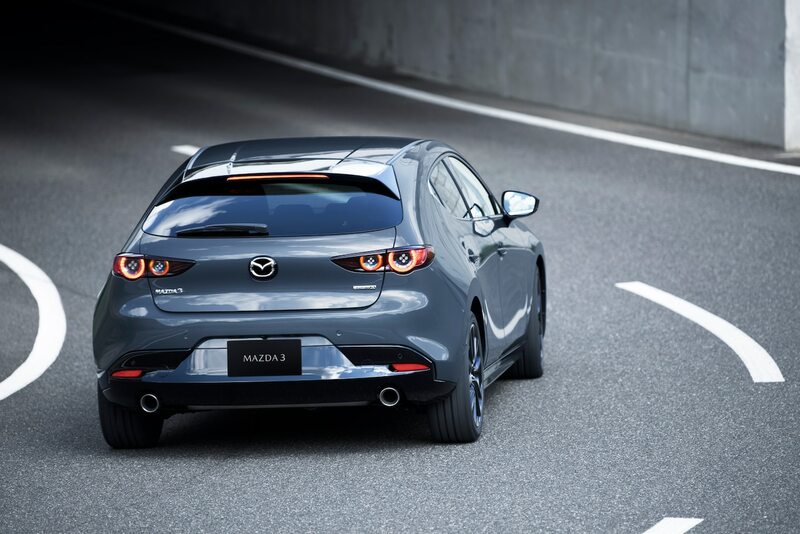 Tsuchida-san noted that the Mazda3’s most prominent feature, its rounded rear end and ultra-thick C-pillar, was intended to make the car more visually striking—something he believes is necessary in an age where customers routinely choose crossovers over hatchbacks. 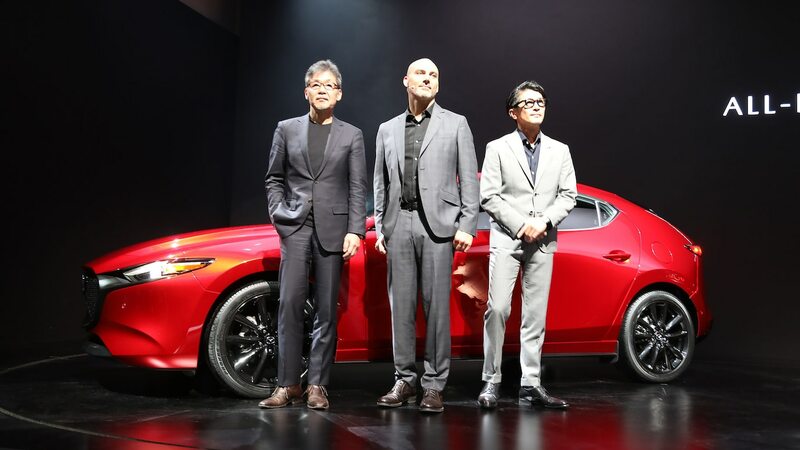 When asked whether Mazda will continue to utilize clay models for designing cars, Tsuchida-san confirmed with a resounding yes. 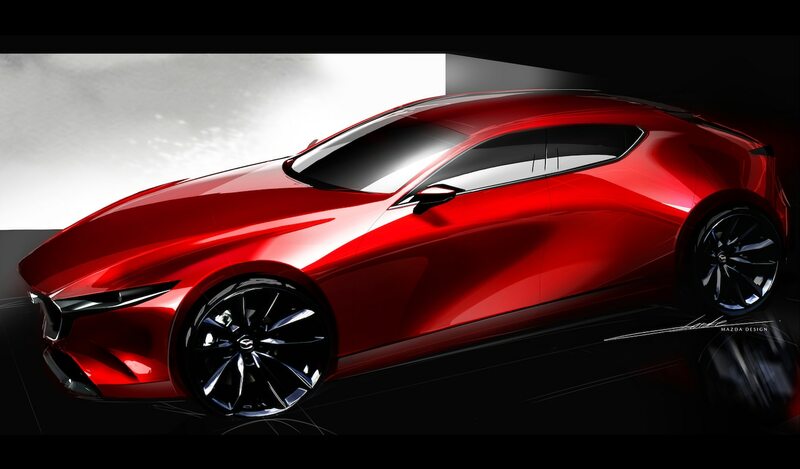 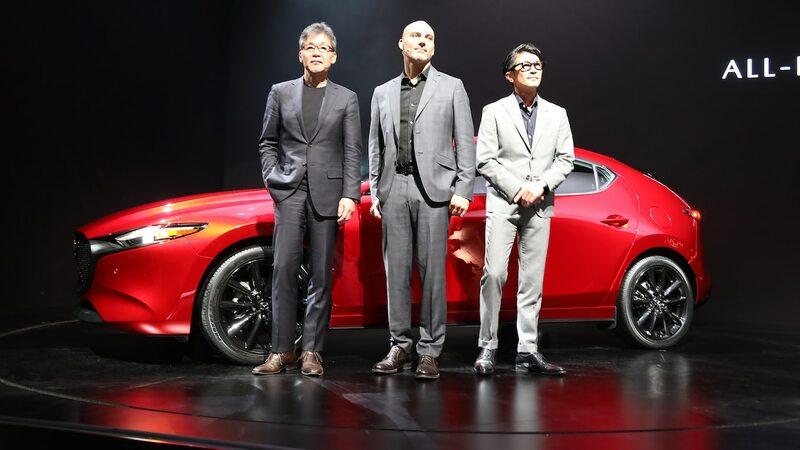 He said Mazda designers see creating a vehicle as an art form, and craftsmanship is paramount in distinguishing Mazda from other mainstream brands. 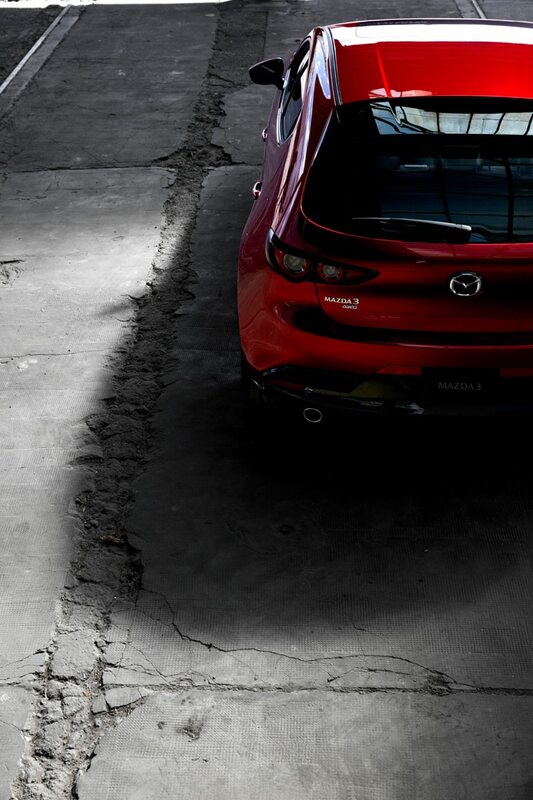 Clay models will remain part of Mazda’s design process well into the future, representing a sign of respect to the people that built it. 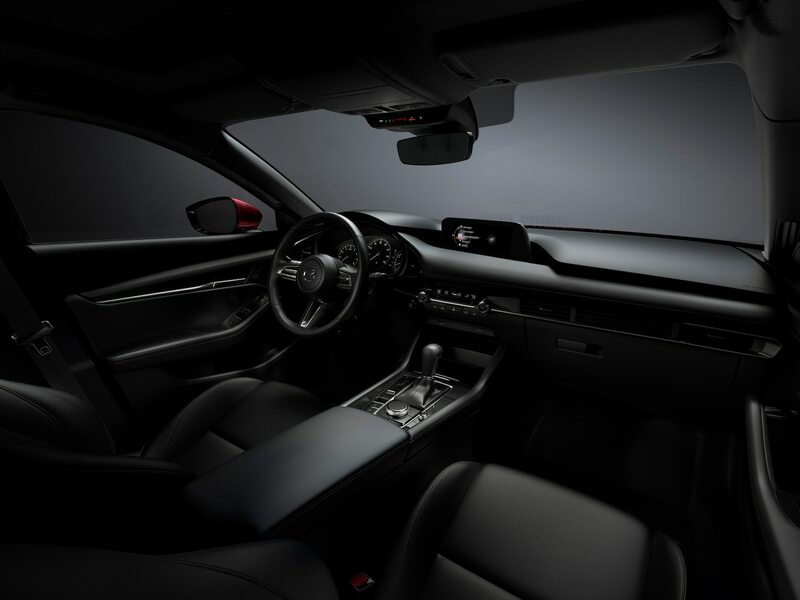 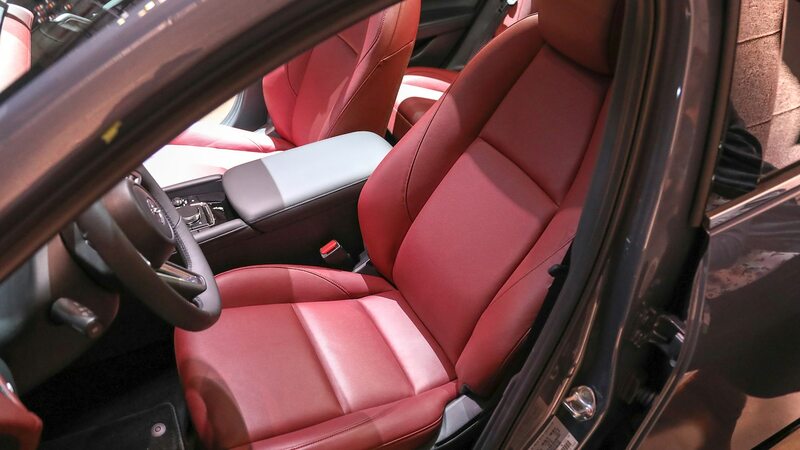 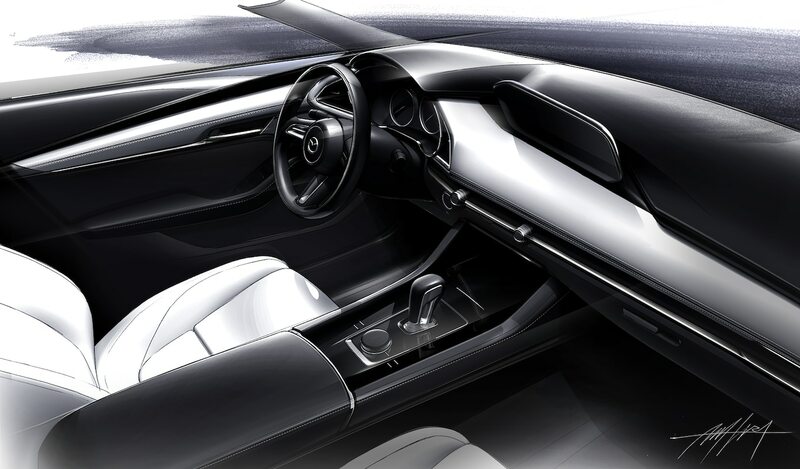 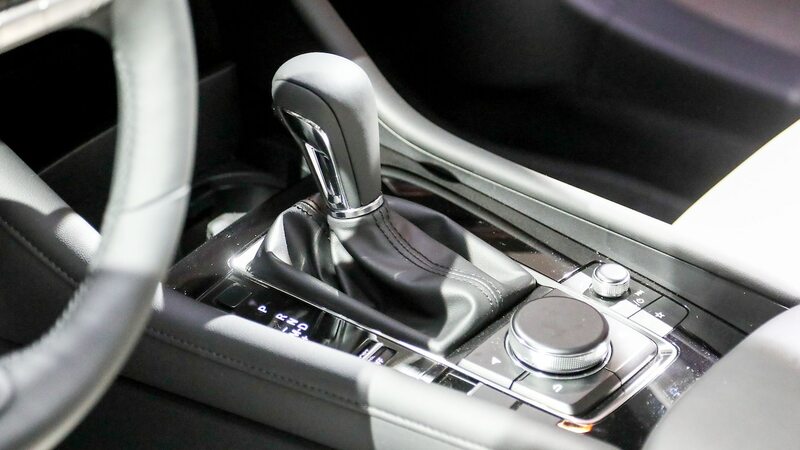 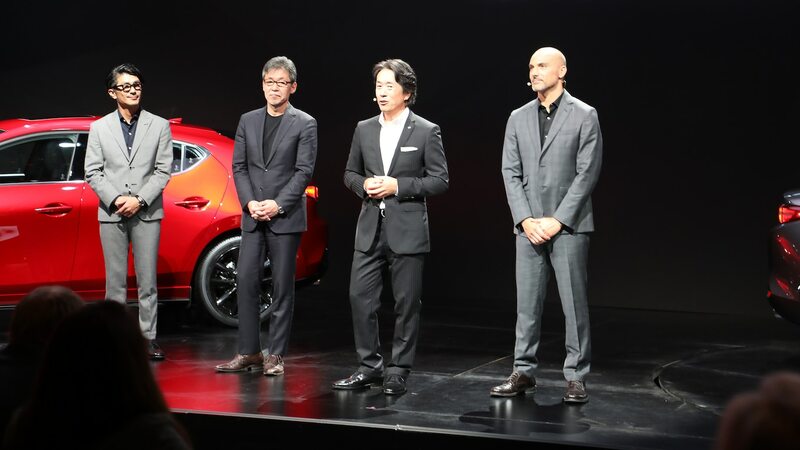 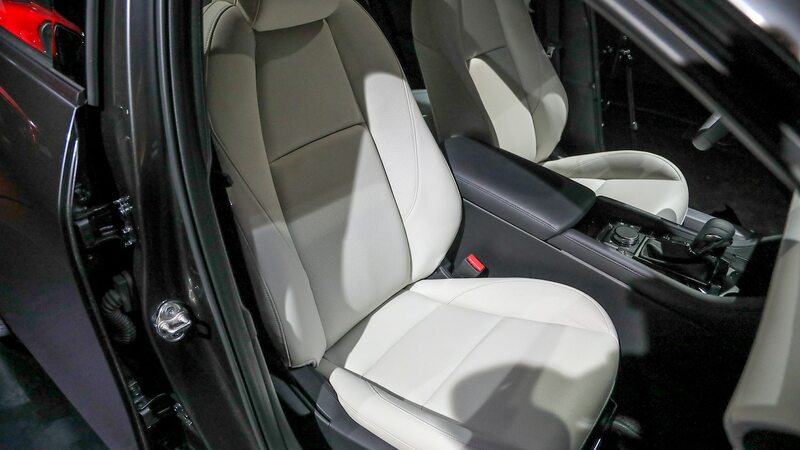 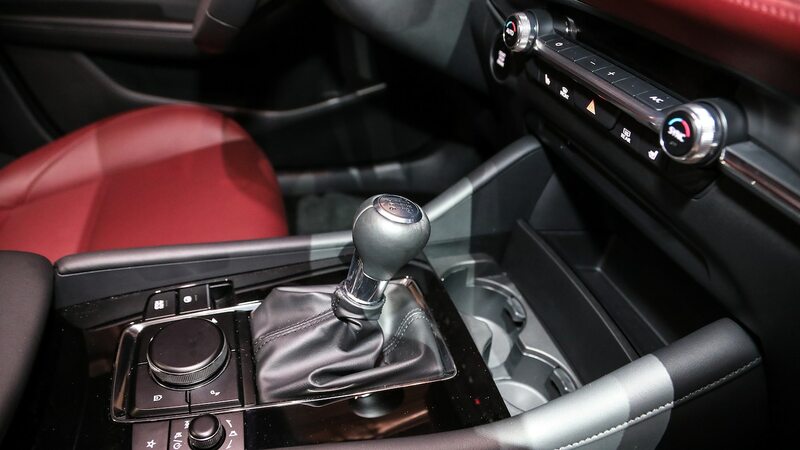 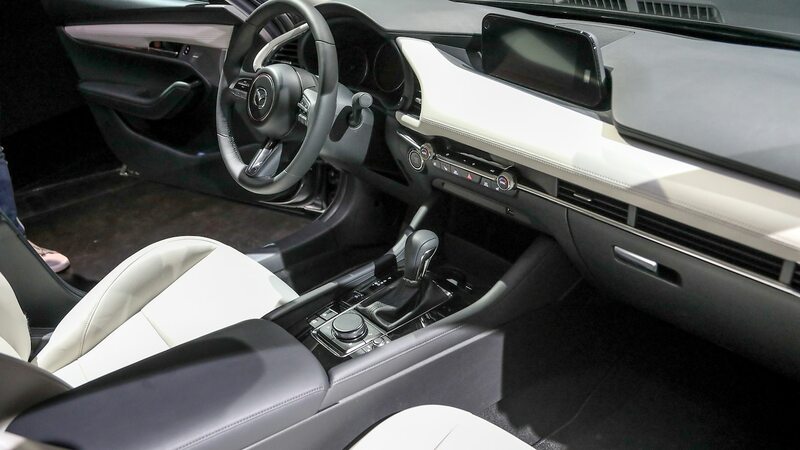 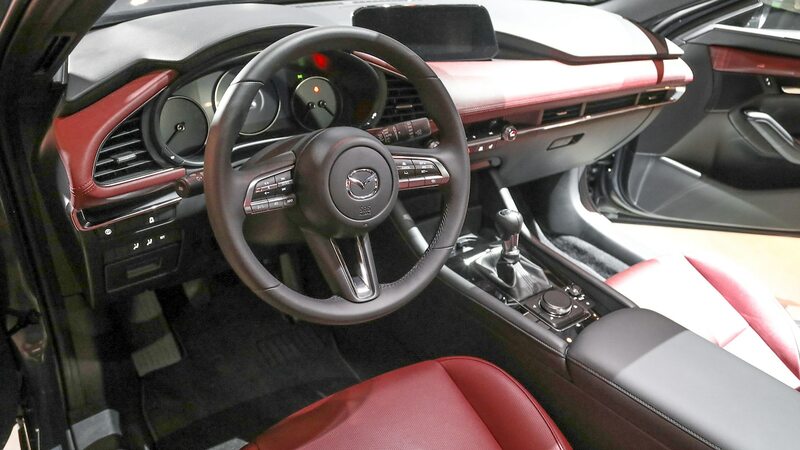 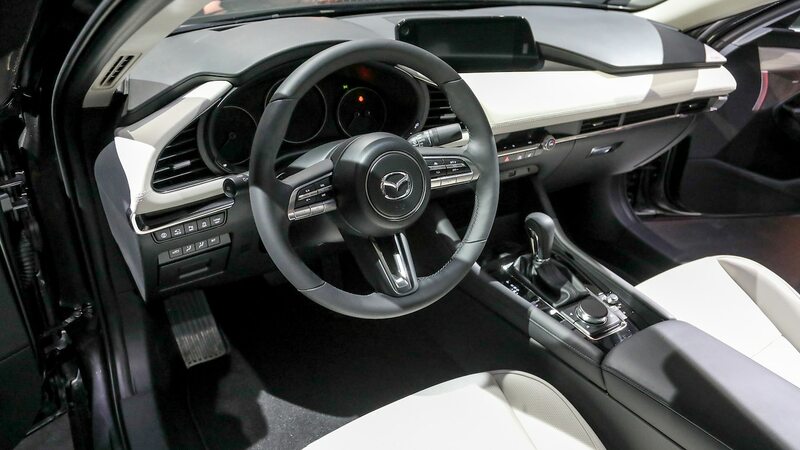 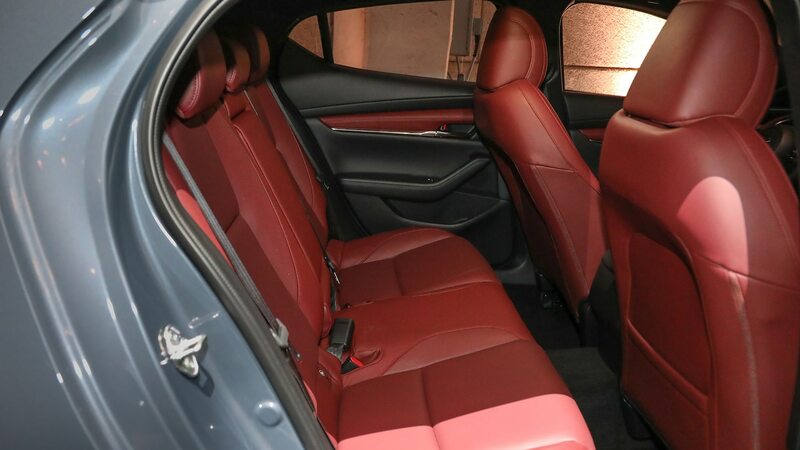 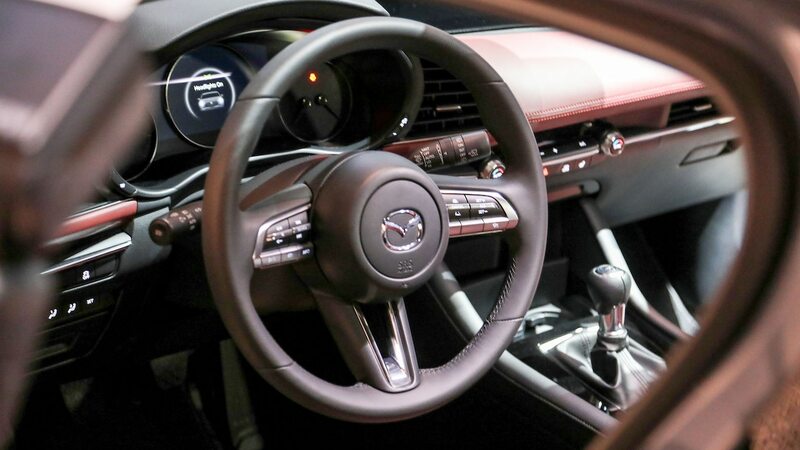 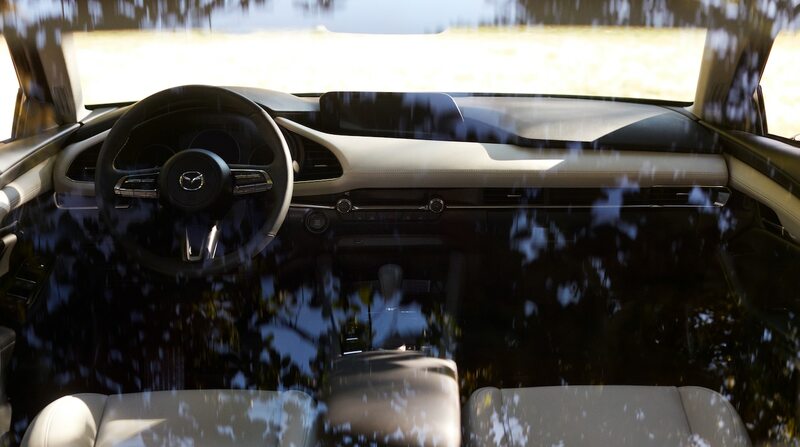 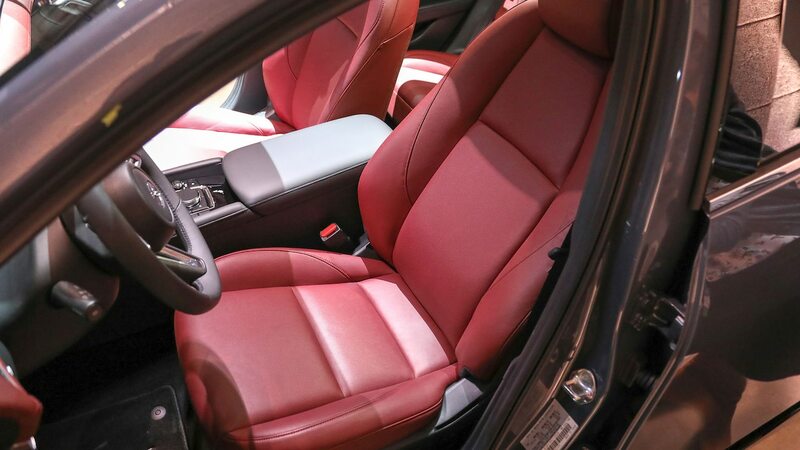 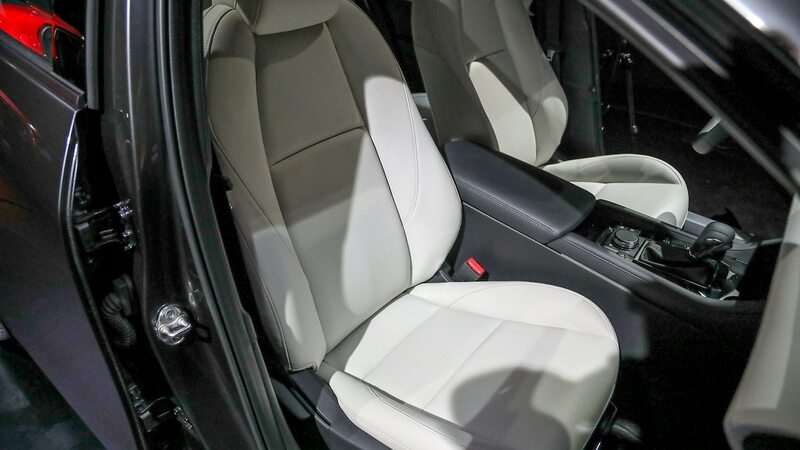 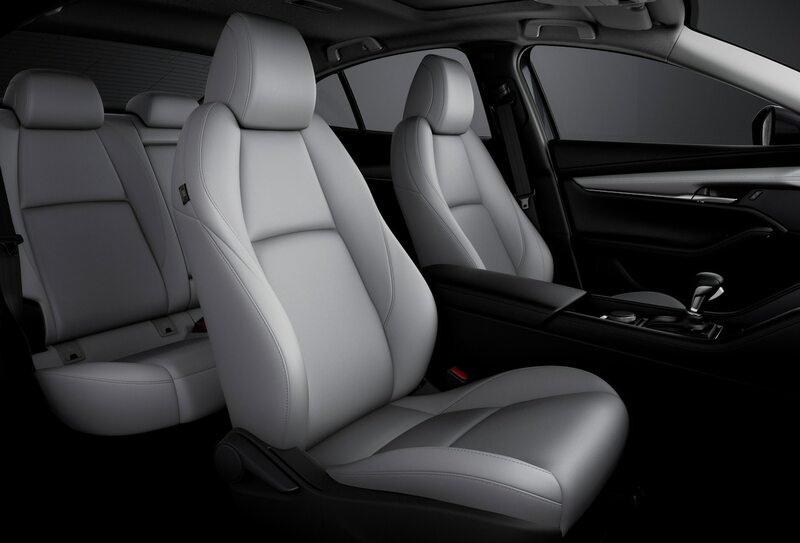 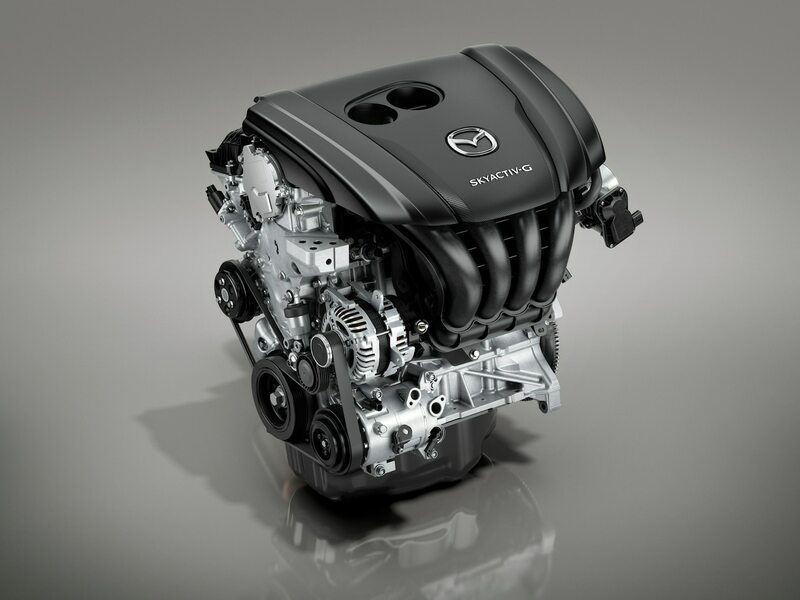 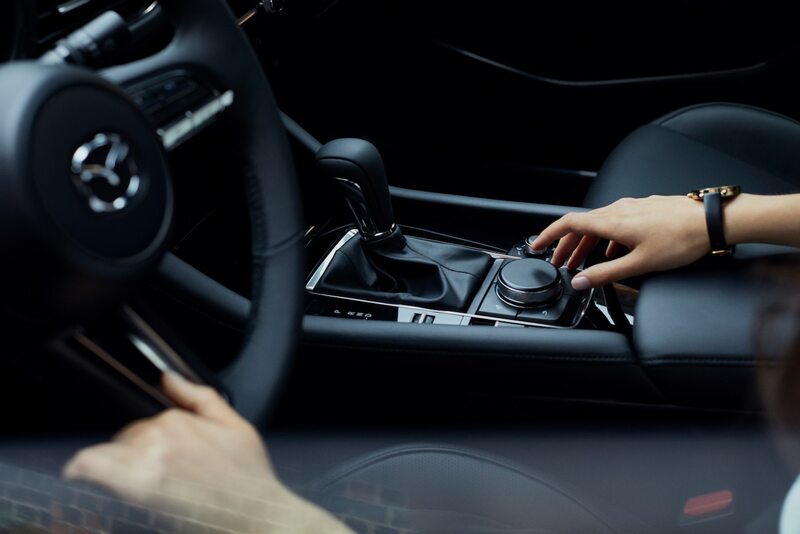 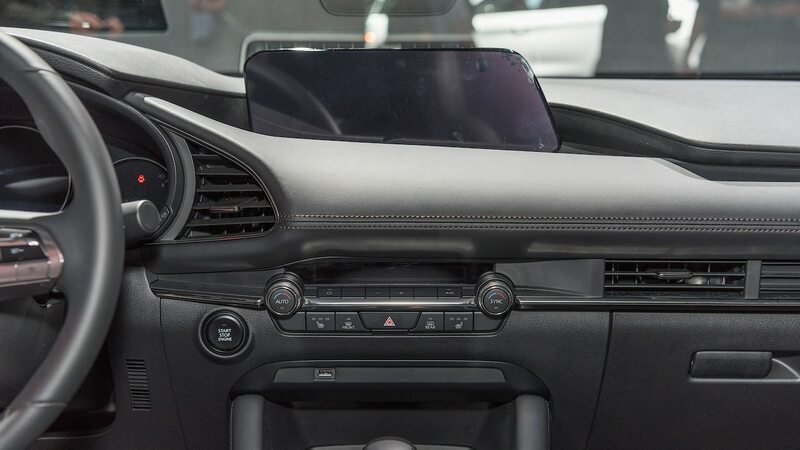 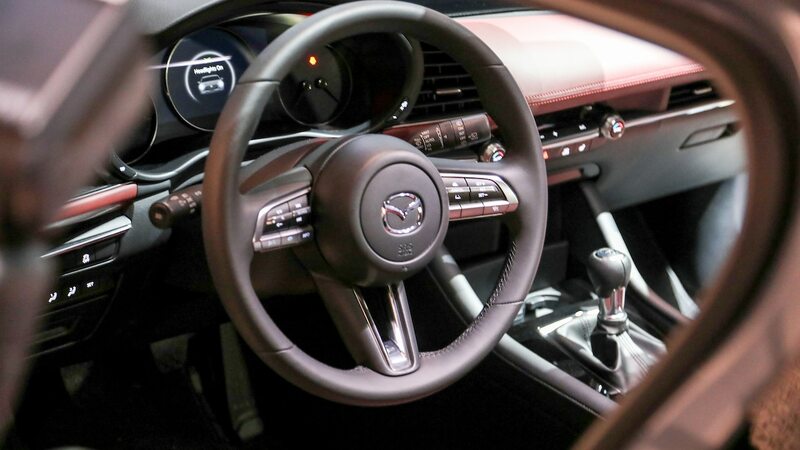 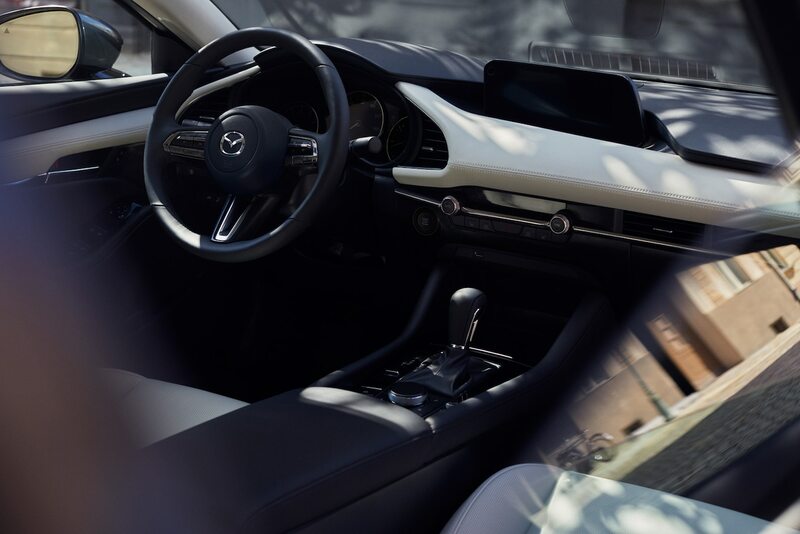 According to Tsuchida-san, the theme of simplicity will continue to trickle down to the next generation of Mazda vehicles, as will the emphasis on the driver when it comes to interior design. 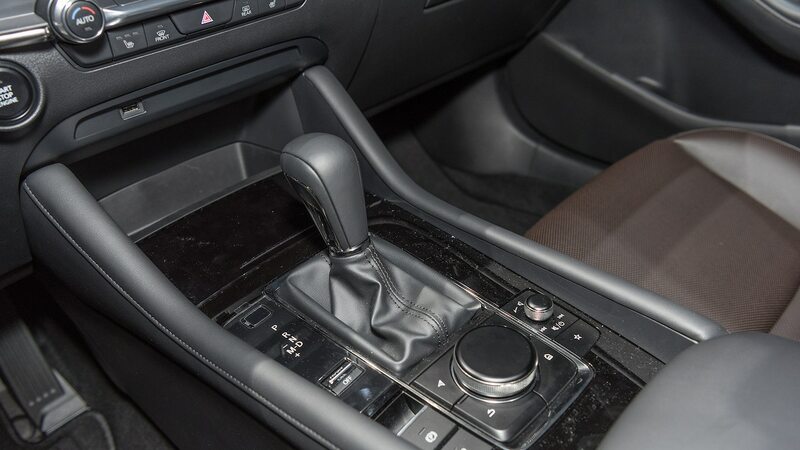 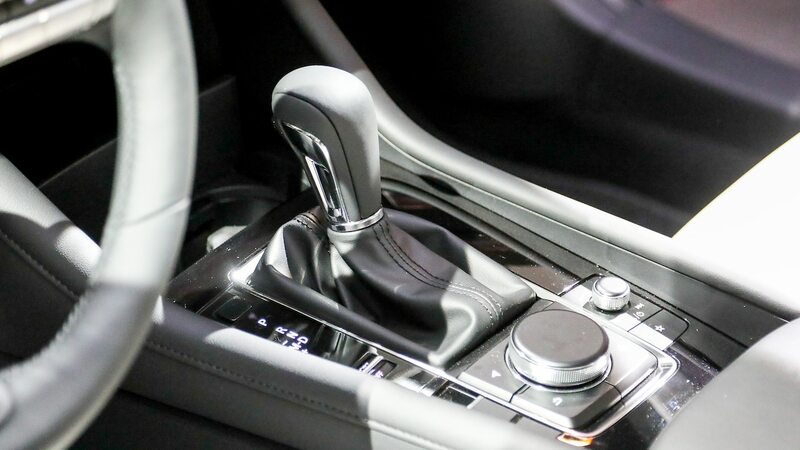 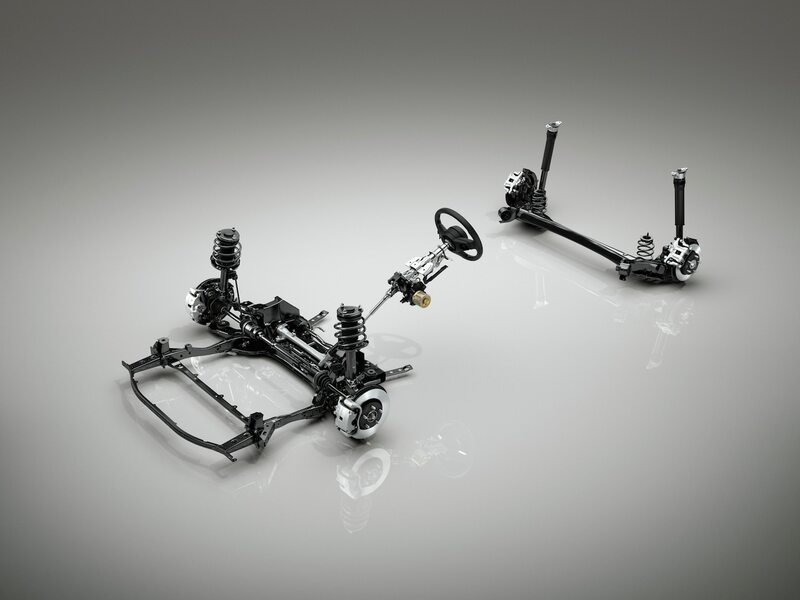 The pedals and steering wheel, for instance, are positioned so that it feels natural. 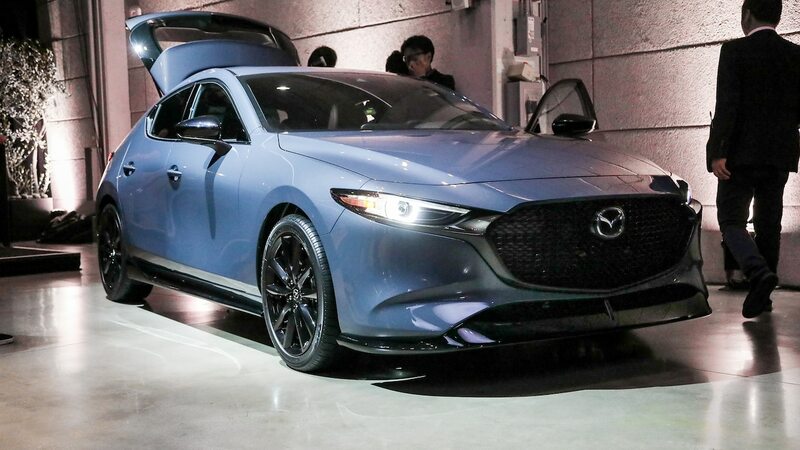 The mirrors and windows have been surfaced and sculpted to ensure optimal visibility despite the extra blind spots added by the hatchback’s slimmer greenhouse. 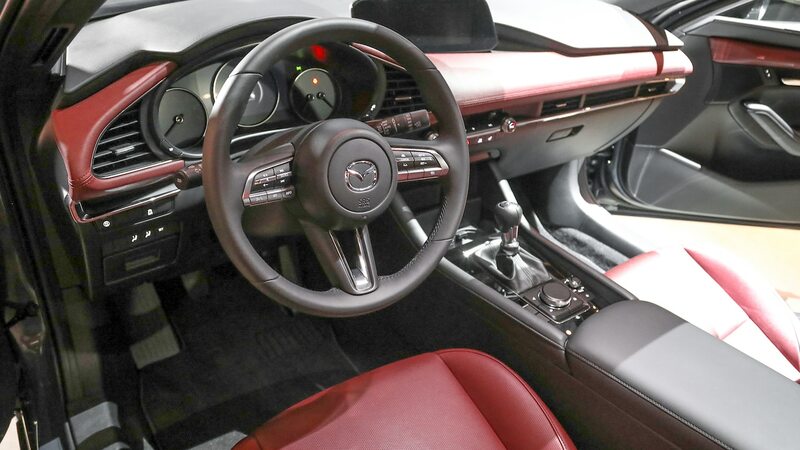 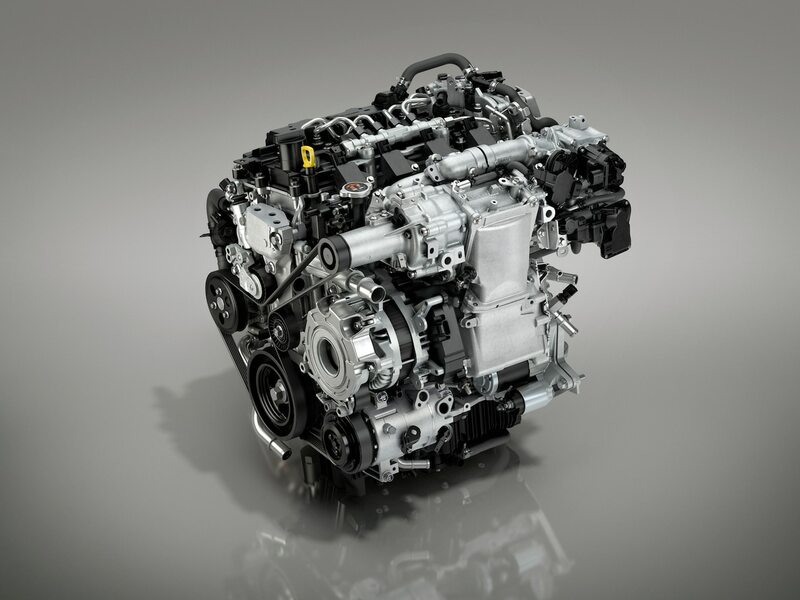 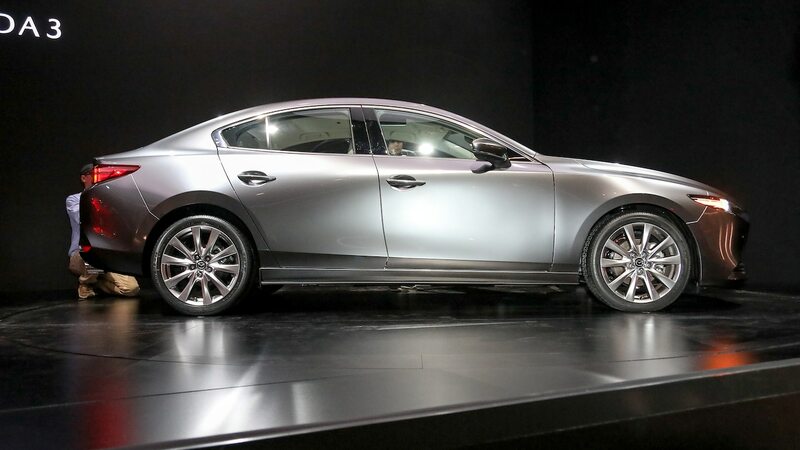 Expect the next round of Mazda vehicles to feature a more minimalist look inside and out.